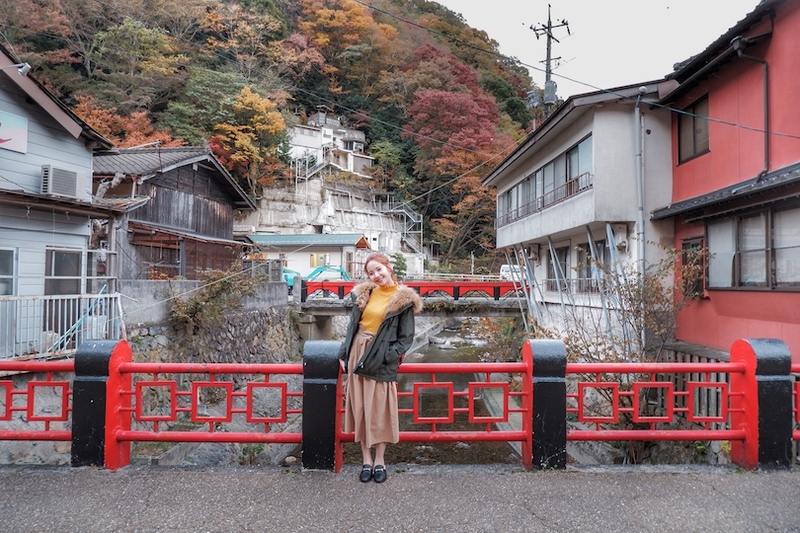 Hello Sweeties✨ So happy to be back again and today I'm going to continue on my last Okayama post (before I continue my journey and blog about Tottori prefecture). Yes, for those who read my previous Okayama post you already know that it's the place where denim and washi tape were born. 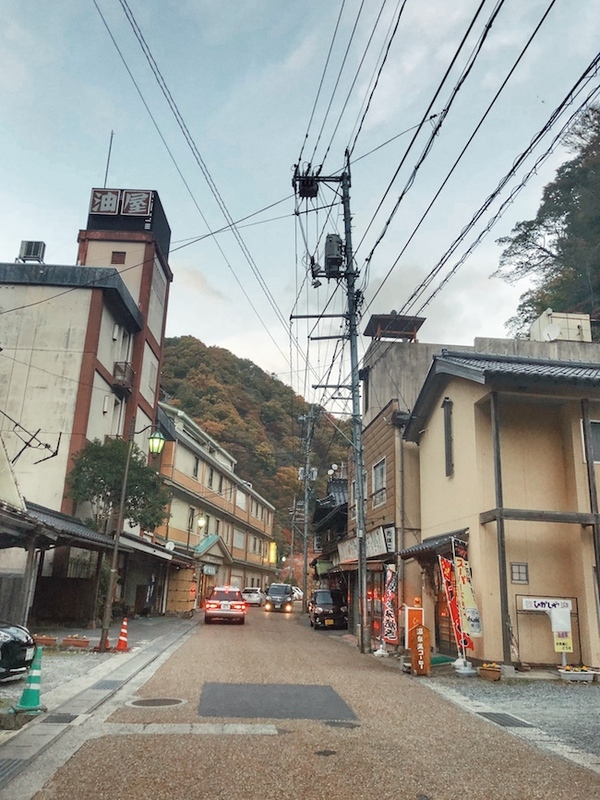 Now for the last part of Okayama (on the third day of our trip), we spent a whole day around Hiruzen and Yubara Onsen both located at Maniwa City, Okayama prefecture. 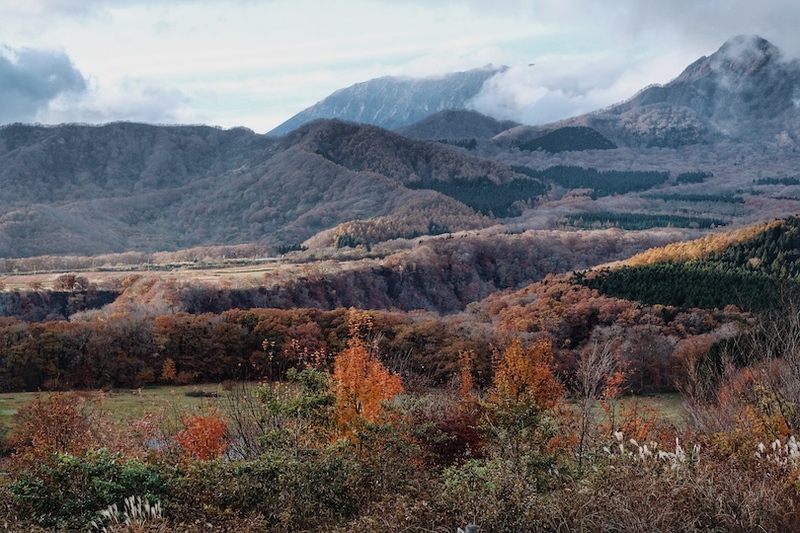 In case you don't know, Maniwa is a city located in north-central Okayama Prefecture. 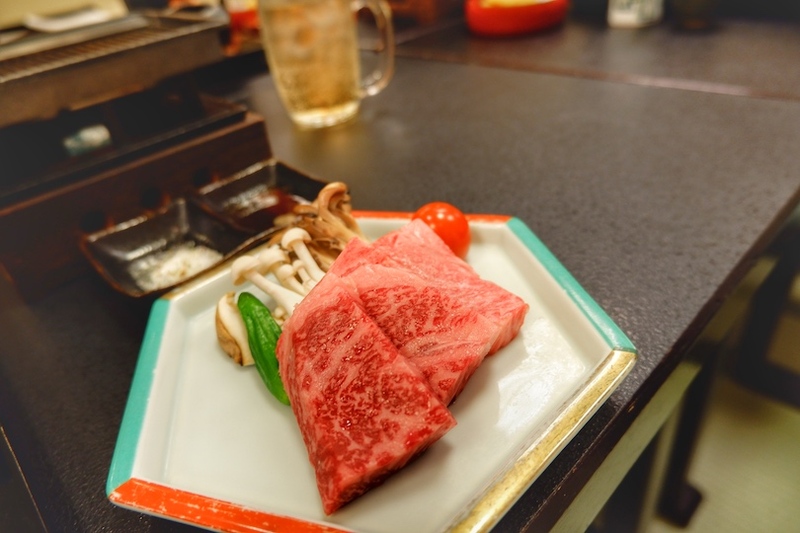 It's also located at northernmost border near Tottori Prefecture. So for this trip, we actually spend a few days in Okayama, then in between Okayama and Tottori we decided to visit to both Hiruzen and Yubara Onsen. On the following day, it's when we start to explore Tottori prefecture. 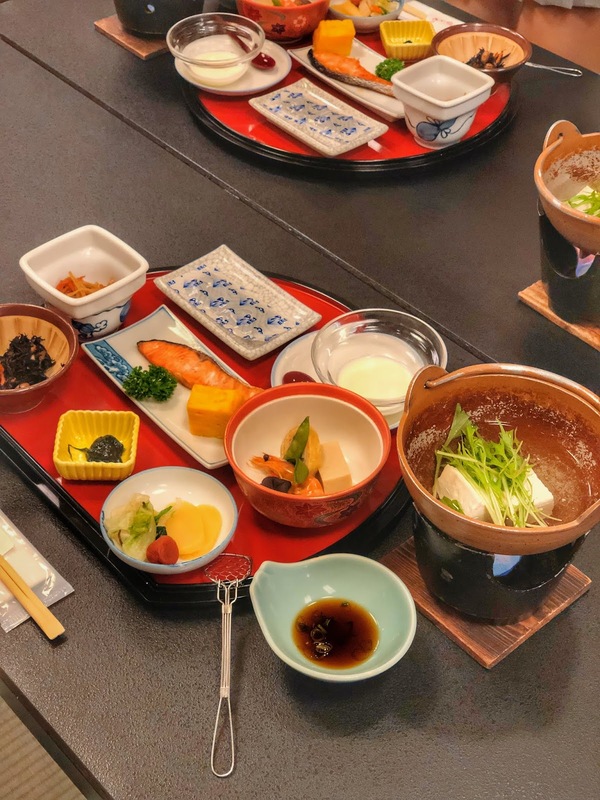 During the last day of our trip, since we need to take our flight from Kansai airport back to KL, we decided to spend our last day again in Okayama then straight take Shinkansen back to the airport. 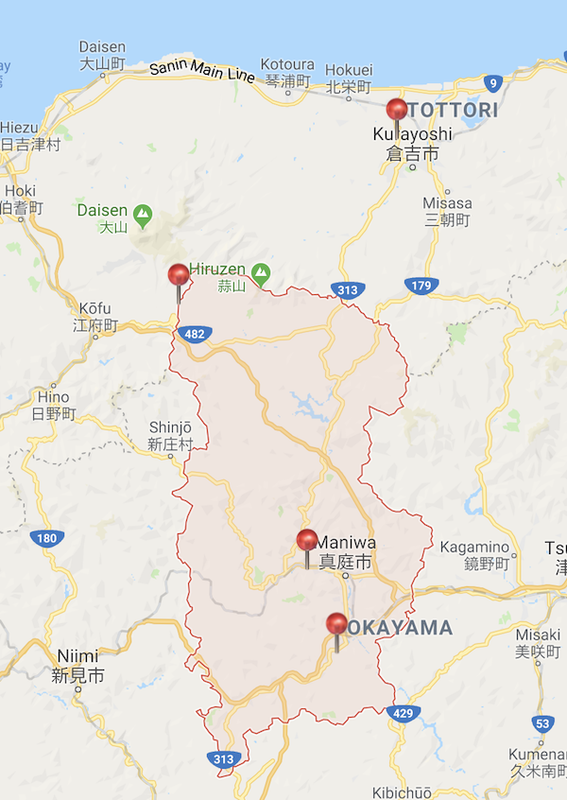 In short, it's Okayama > Tottori > Okayama. 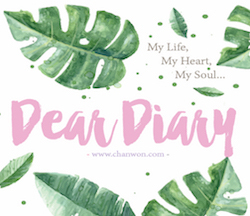 I actually wrote everything in detail for you guys. 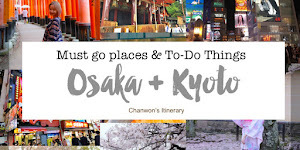 So if you are planning to visit Okayama you can write down all the place you wish to visit, for example the denim village or Kurashi. 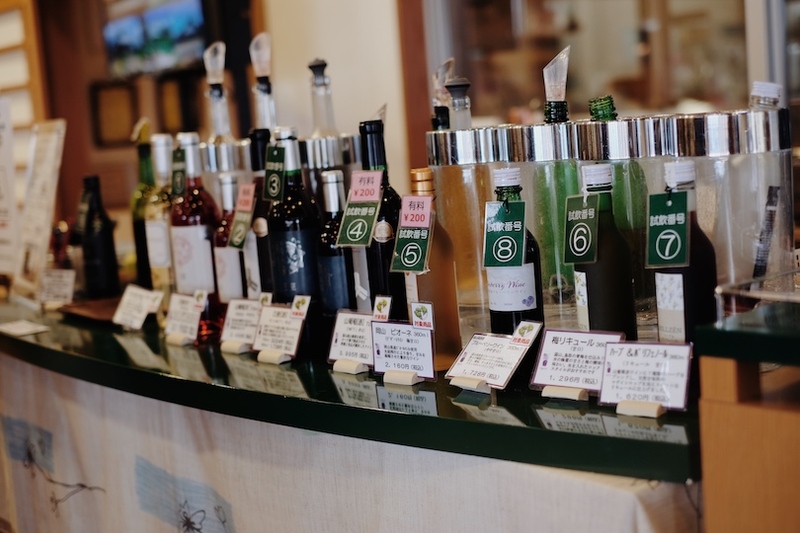 If you wanna add on Tottori on your itinerary, just simply continue to read the rest of my blog post which I linked right below the first photo of this post. You can tick the one you wish to visit and plan accordingly. If you wanna go all the place I went, it might takes around 6 days. 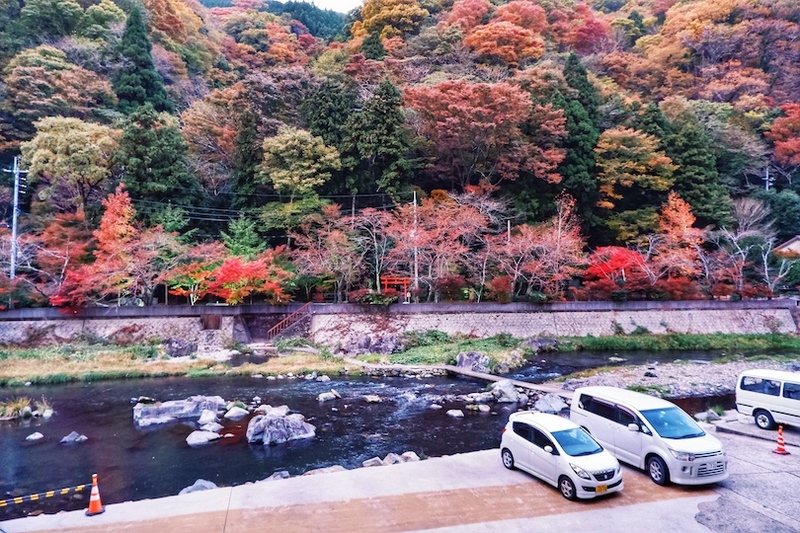 If you have shorter traveling period, you can enjoy 3D2N both prefecture as well. But just a quick one. 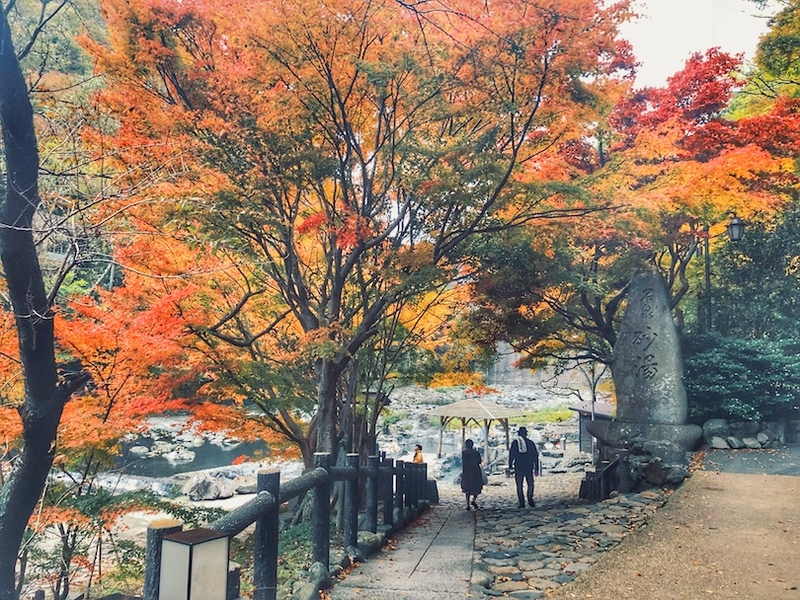 If you visited Osaka already and you have 9 days there, then you can plan spending 2 days in Osaka the rest exploring the neighbour prefecture which is Okayama and Tottori. This is how you going to use and fully utilise all the info I updated on my blog. Hope this help you on planning your itinerary. So on this post, I experienced something really fun! It's like a little crazy when they told me about the hand-on activities but yes, #ChallengeAccepted! 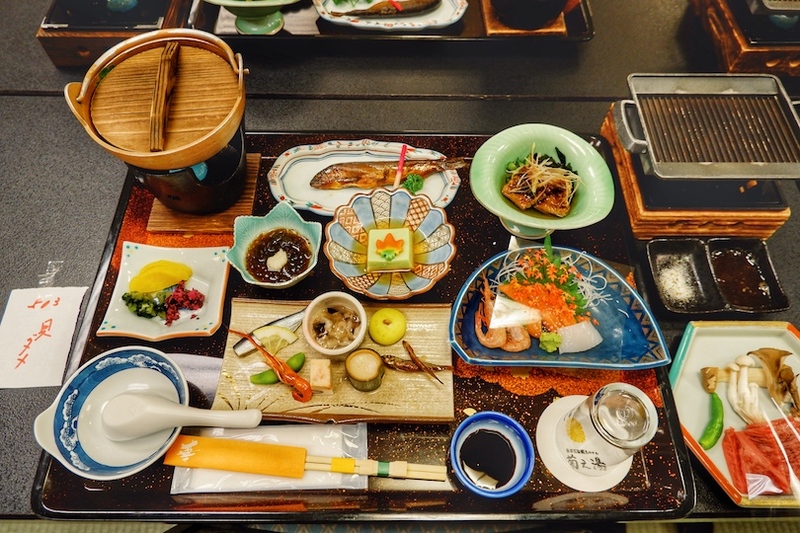 The name of the restaurant is Shirakaba No Oka Restaurant 白樺の丘. It's located right opposite the huge farm. Outside view from the restaurant. The weather is super duper good. 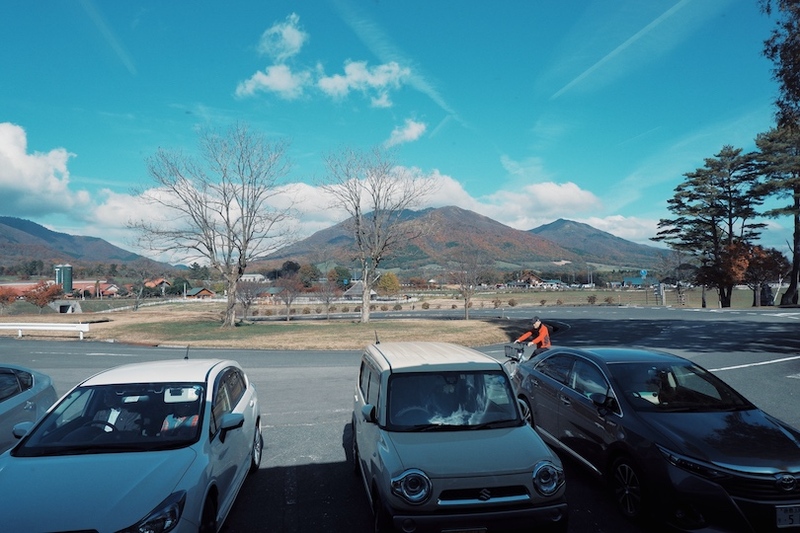 Sky are blue and I'm surrounded by beautiful autumn gradient color. 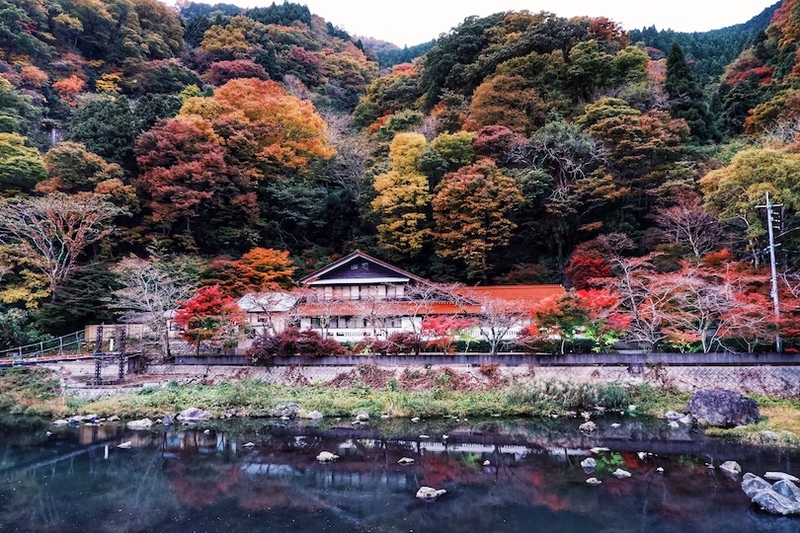 I can't decide whether which season are best to visit in Japan. I love each! 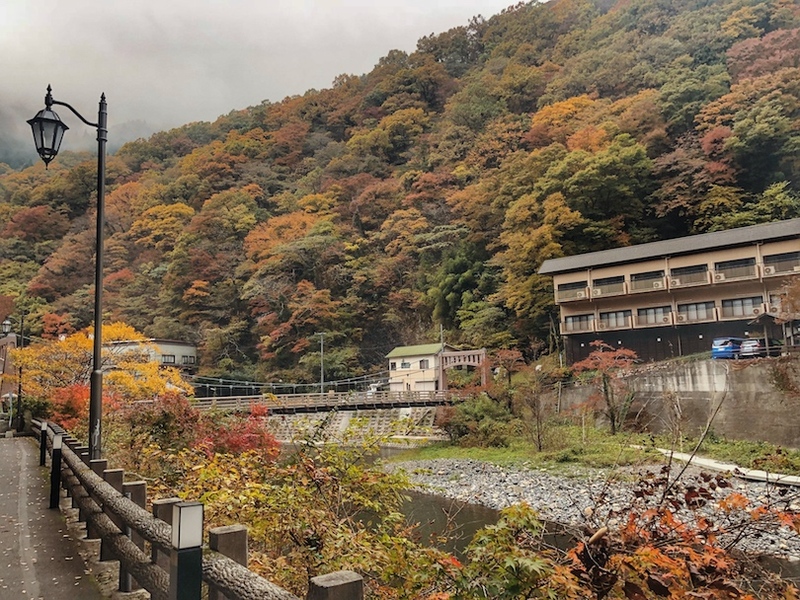 Since we have some time before we start our hand-on workshop, I thought why not just walk around and take some photo to show you guys how beautiful Hiruzen Jerseyland is. 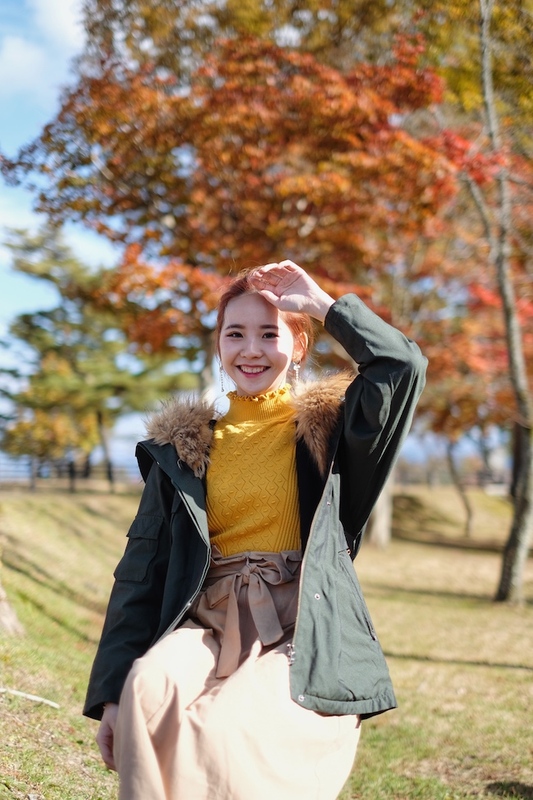 Perfect OOTD spot for you! Just right in front the entrance of the restaurant. Even if you don't understand Japanese, no worries! They got the cute little cow here to help you! 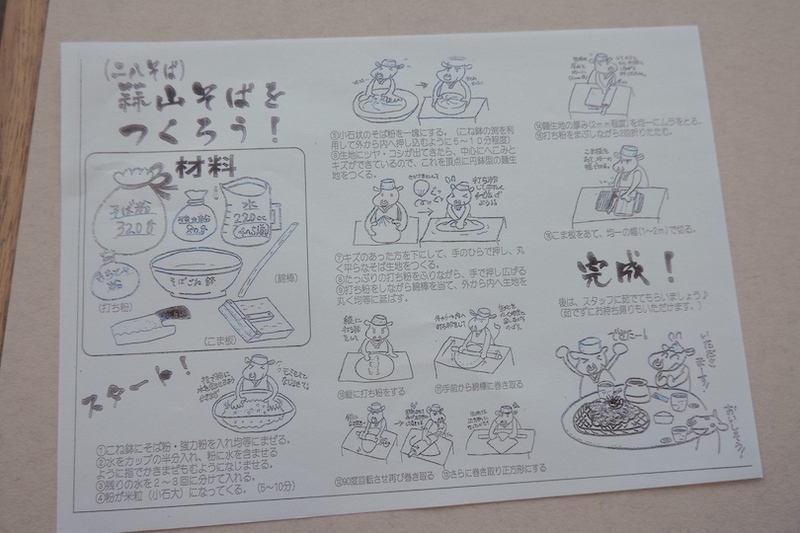 AHHAHAHAHA So basically all the ingredients are placed on the table. What you need to do on the first step is just mix everything together. That's easy right?!! 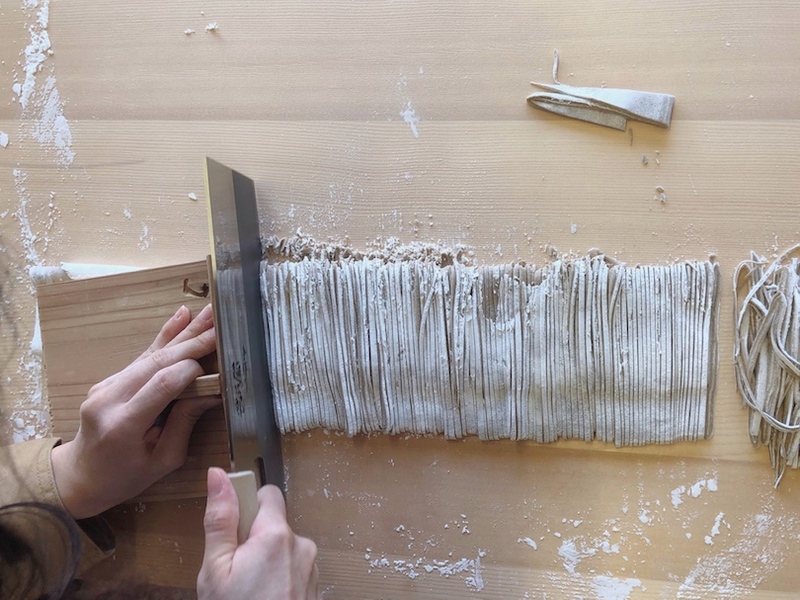 For me, I think the hardest part is cutting the soba lol. Because it must be as thin as possible. If not your soba become our 'panmeee' lol. 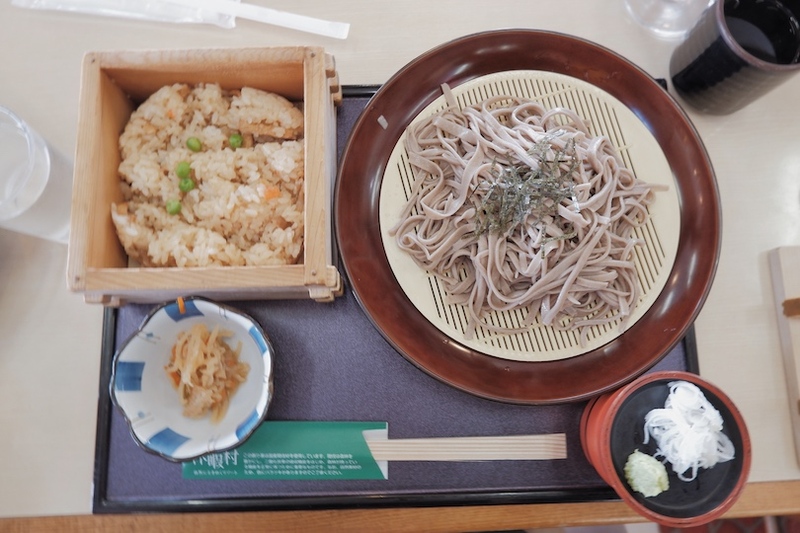 Like those thicker version of soba instead of the normal one lol. So this is all you need! 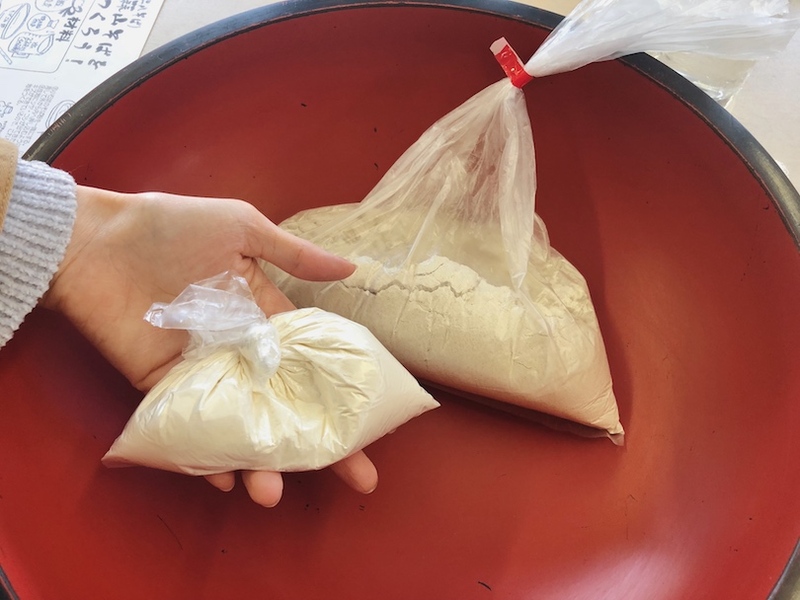 Wheat Flour 小麥 & Flour 麵粉. You need to put 8 : 2 portion for both. Which means 8 for wheat flour & 2 for flour. 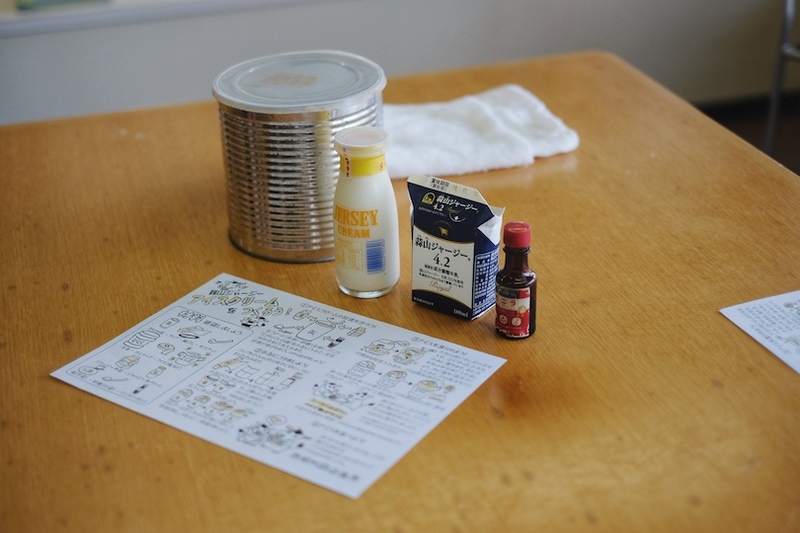 If you look at the drawing and how-to procedure on the table, it wrote there 320g & 80g. So here you go! Mix everything together. 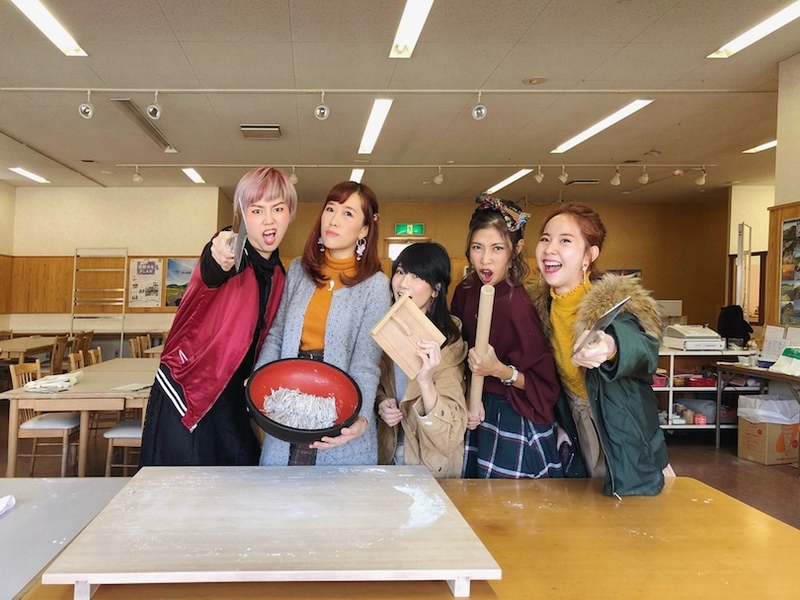 So this is how I pay attention to the soba guru while Cheesie just mix everything up and thank god I'm same group with her. It mean that I can still save my soba because Cheesie is so good on her lazy mama cooking. I think 100% better than me lol. So she's the pro! It's actually super easy. Just mix all the flour together. Then add with the magic water which is made in Japan 😂 Japan water confirm make it more Q and yummy lol! 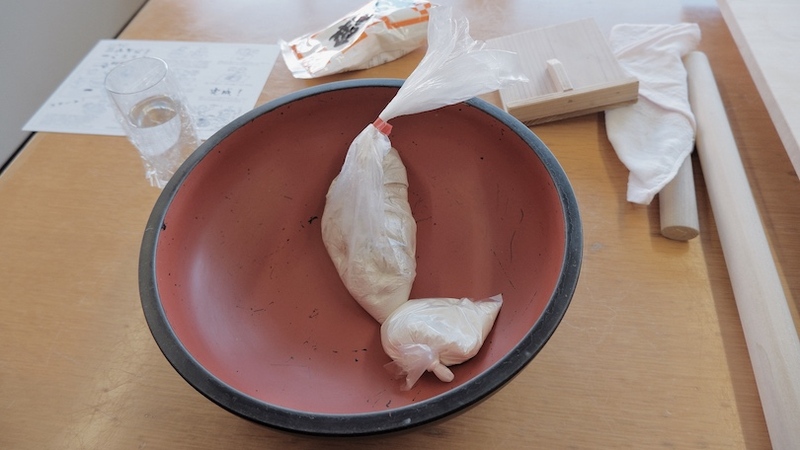 Then just mix everything together and keep give the mixture a good massage session. Actually not hard at all, is just so tired. I can't few my hand any more and this huge portion is for 4 person I think. Cheesie passed her challenge to me! Is my turn and my very first time doing soba noodle. 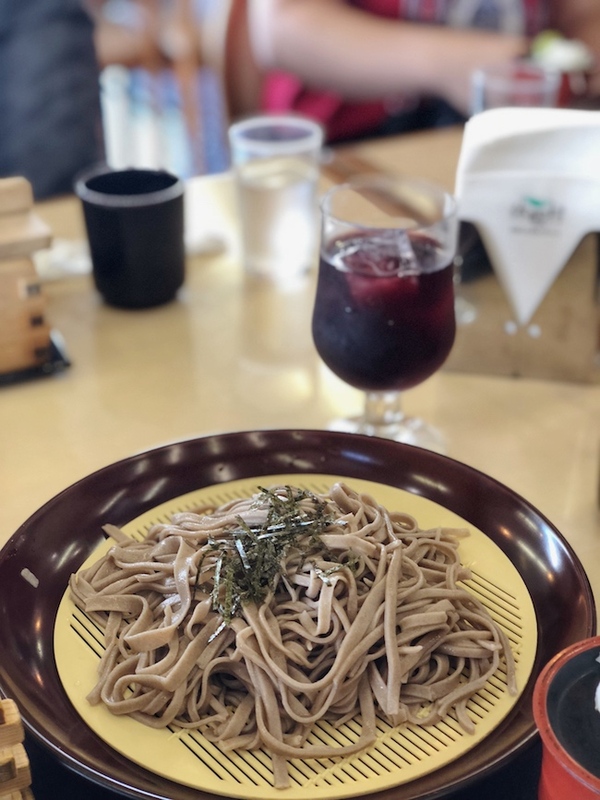 You know I'm always a huge fan of Soba and now I should appreciate all handmade soba. It took us like 20mins or more than that to make the plate completely 'flour free'. 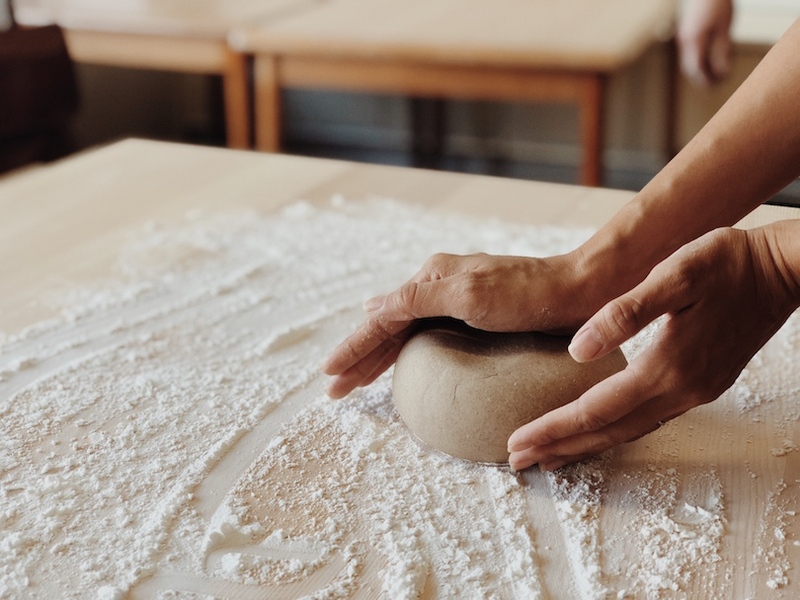 Just keep massage and mix everything up until no more flour left or stick on the plate. Okay! 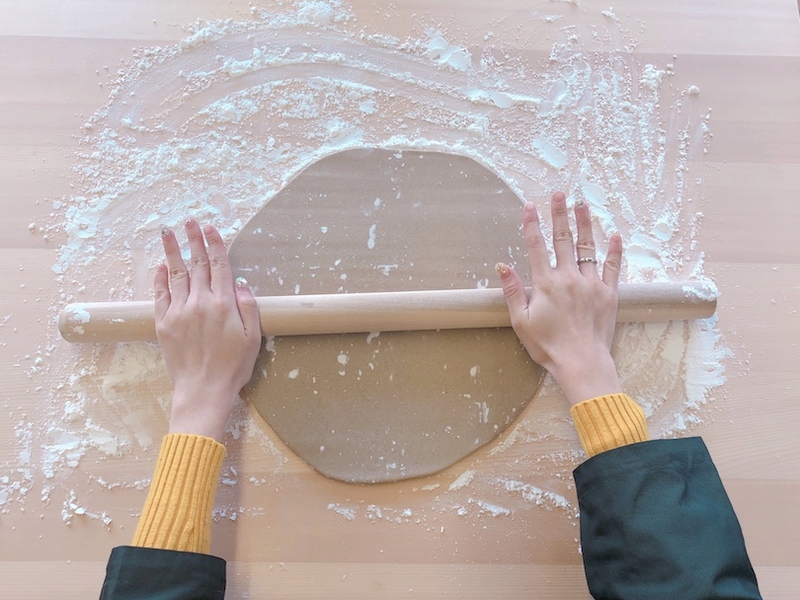 Finally there is something I can do and help our group to win the yummiest soba award!!! HAHAHA This no need any skill I think. Just need keep pushing and making the soba mixture as thin as I can. You can do it! 20 years later..... HAHAHAHAHA We tried so hard to roll it into this thickness but still, we need it to be thinner than this lol. So continue!!! We take turn to do this and I already feel so tired. The soba must be so yummy later because half way I'm making this, my stomach is calling lol. Last step before we can cook the soba! 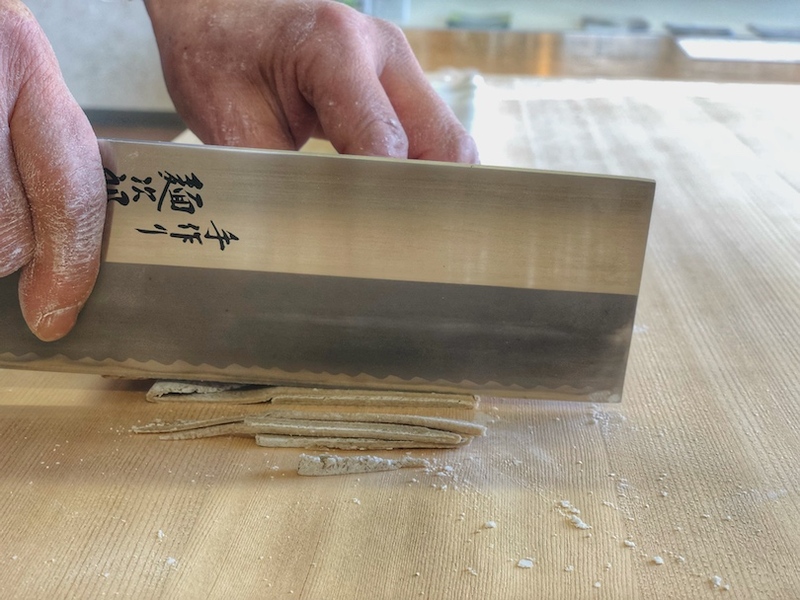 We need to cut it with the special soba knife and a wooden holder to hold the soba and cut it. I think I need a ruler! Waited for few mins and our lunch is all placed on our table. 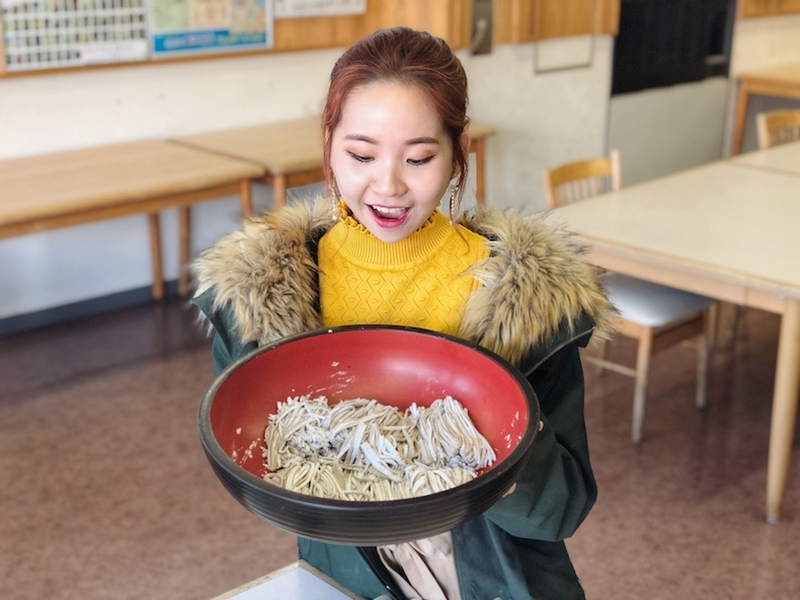 OMG, can you see our handmade soba? Hmm...slightly thicker version?? 😂😂😂😂😂 But it taste really good because of all our hard work lol. 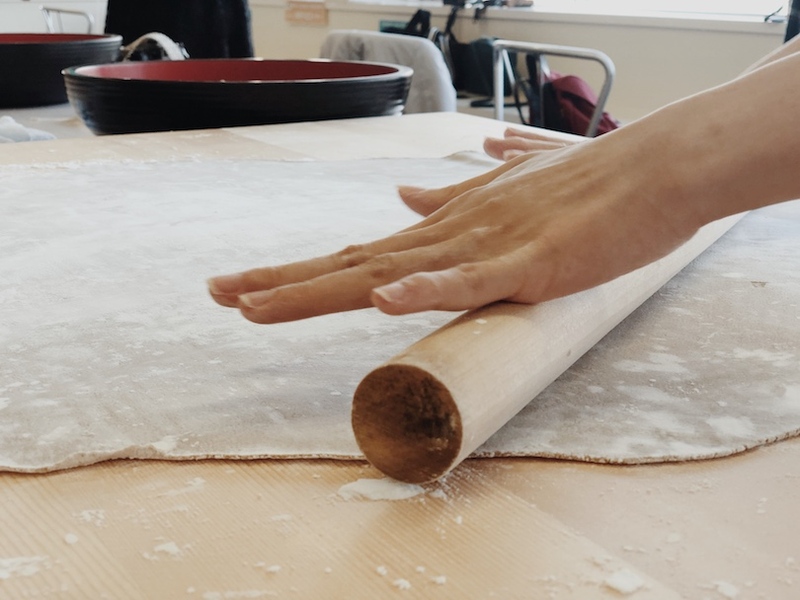 Close up photo for my first handmade soba lol. Also, if you realise there is one grape juice right behind my soba. I tell you this is the best grape juice with 100% grape fruit ever!! I love this and it's why once I back from the trip, I ordered few bottle of Japanese non-alcohol red wine back to my house. It's something similar but of course this is fresh one taste really good. It's a little bit sour but really refreshing! Love love it. OMG I really miss this and would love to go back just because of this grape juice lol. Way better than what I expected. 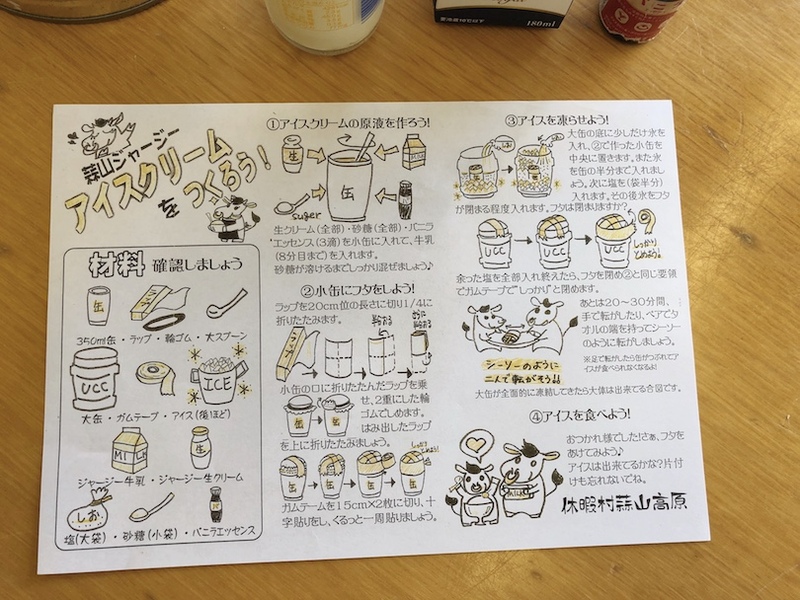 So there is a how-to paper on the table and all the ingredient you need. Basically just mix everything into the can, then put the ice + salt as well as the can inside the big tin can. Sealed it and keep rolling back and forth for 30 mins! HAHAHAHAAHAHAH until my hand patah lol. You can try this at home. Make this as something like your home workout. 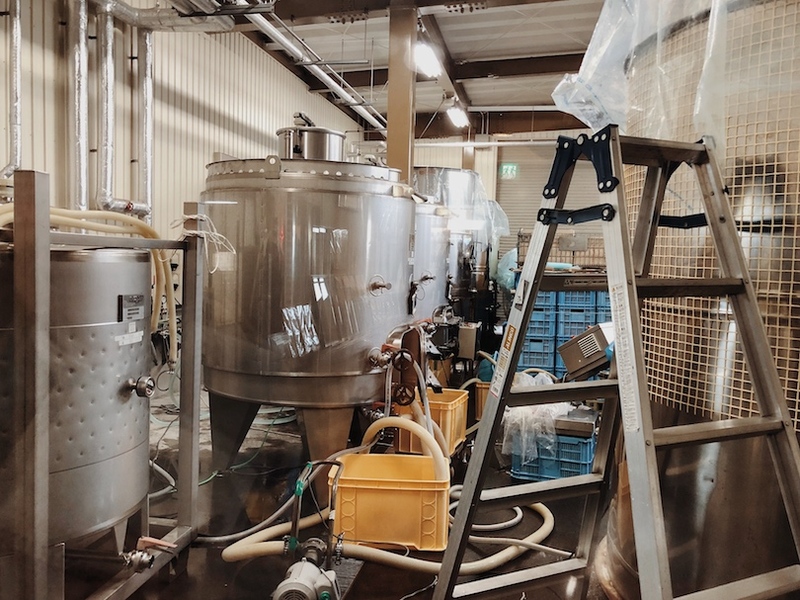 Here's the summary of the process of making the ice cream! Wrapped with a huge towel and just keep rolling! it takes forever lol. 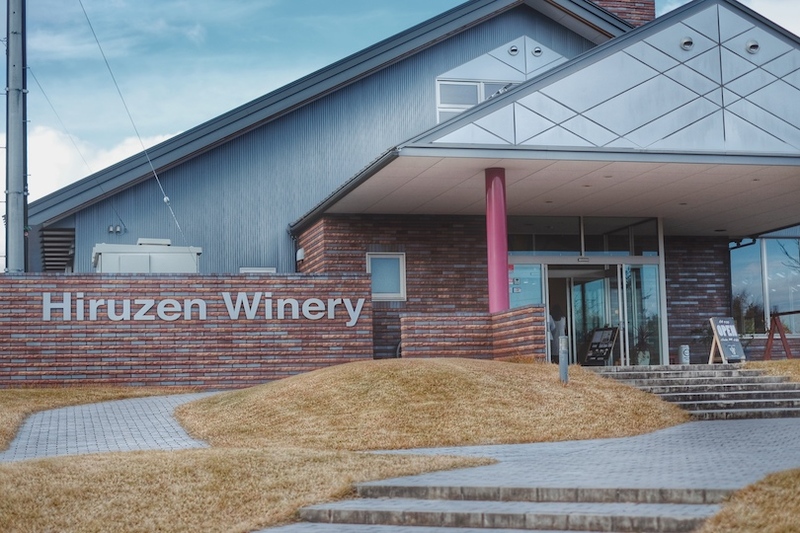 To be honest, this is my first time visit to winery in Japan. Since we are here in Hiruzen and the grape juice we tried just now was super duper nice. They actually guide us around and ask if we have extra time we can go to have a look at the local winery. 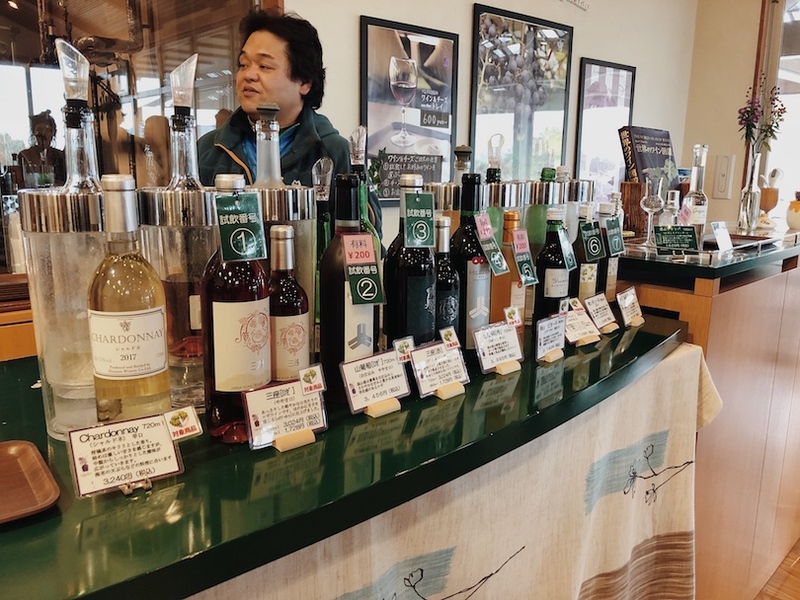 It's famous of its local mountain wild grapes wine and the best harvest season for the local grapes is around Sep-Oct.
You can enjoy all these exquisite wine which are made from local mountain grapes. They also have the award winning red wine here. You can enjoy the free wine tasting here. Visitors can choose the wine they like and have it served as a set with cheese from local Jersey cows (fee required). 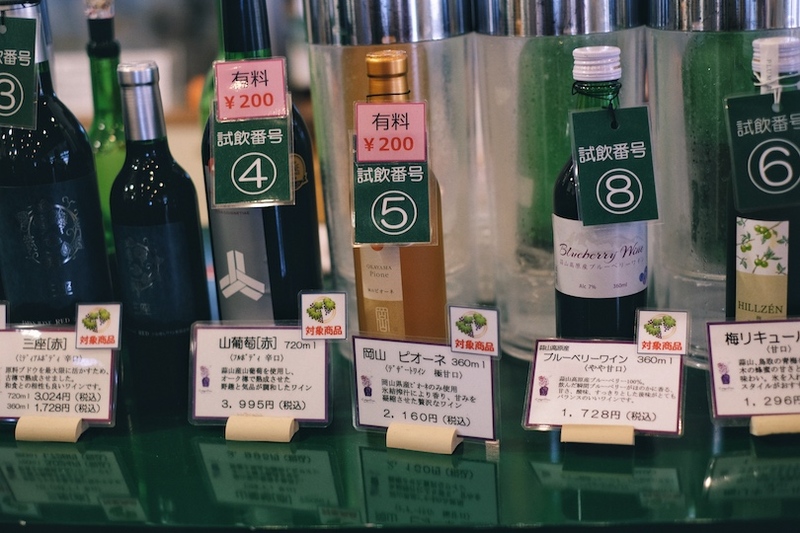 Next, if you take note of the [有料] 200 yen, it means that you need to pay 200 yens in order to try this wine. Other than the one label as [有料] , the rest is FREE OF CHARGE. Normally got extra charge one is their exp and award winning wine hehe! 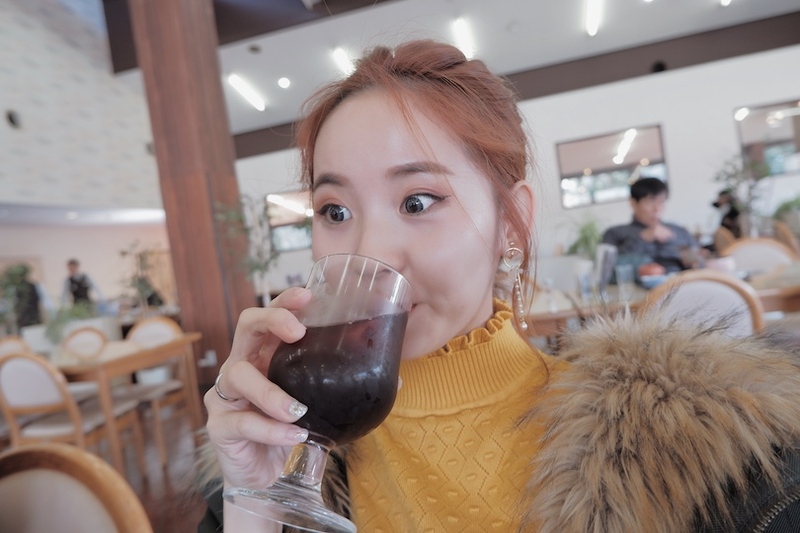 I have 100 questions in my mind because I dont really drink wine but would love to know how to differentiate the good and bad one and also how to find my favourite wine out of soooo many good ones lol. 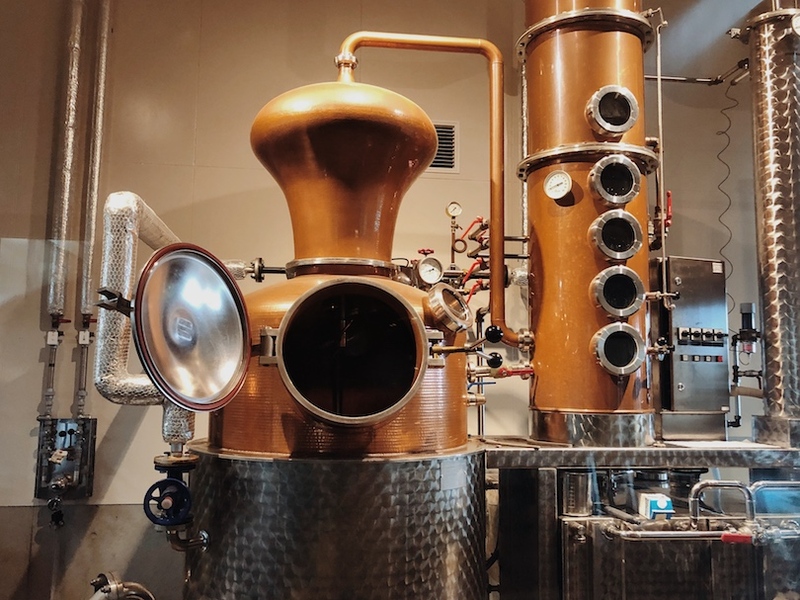 So they explained it to me that in order to differentiate the not so good one with the good one is based on the taste of the wine, the process or making the wine, the scent of the wine and the taste & color of the wine. 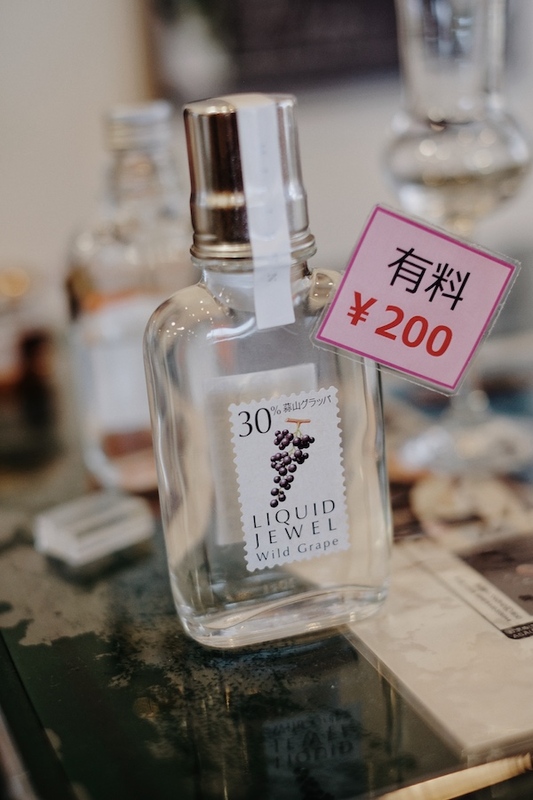 Also spot this cute liquid jewel wild grape bottle! So cute! You can buy this home as well! They also show us around the winery and giving us some basic knowledge about the process of making red wine. 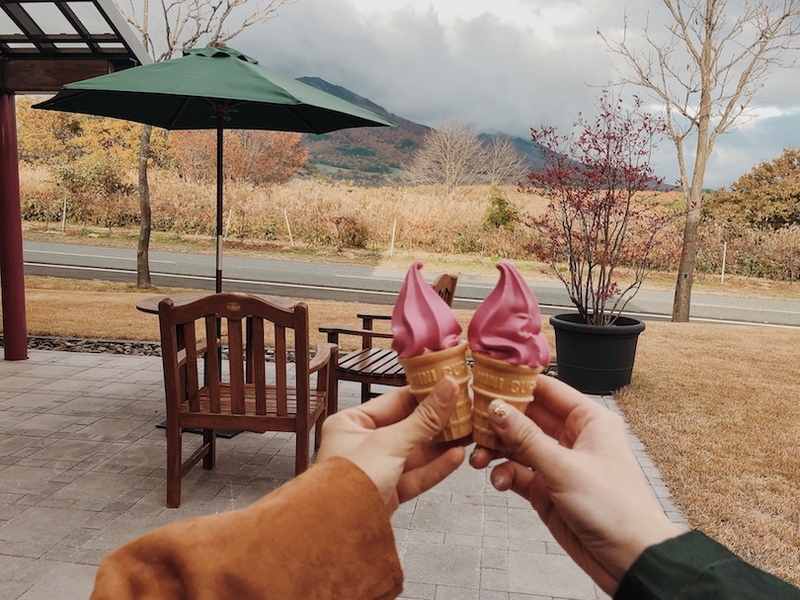 Cheers for more ice-cream together! 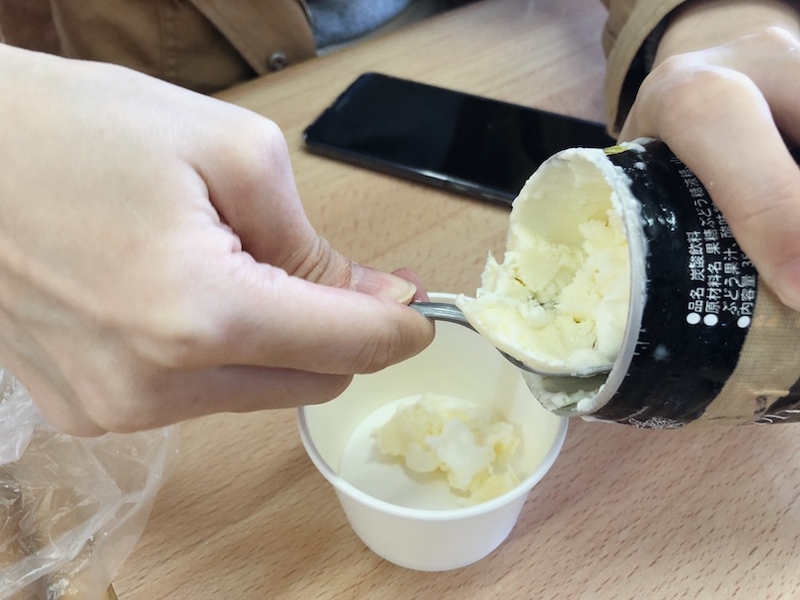 15 years later, finally I finish the whole ice cream on top! 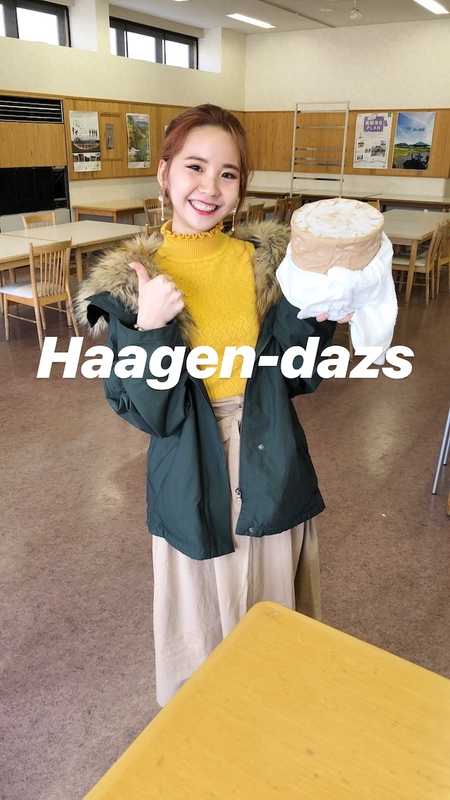 So cold and the ice cream is never melt in Japan lol. If you are here during the autumn season like us, this is what you need to do!! 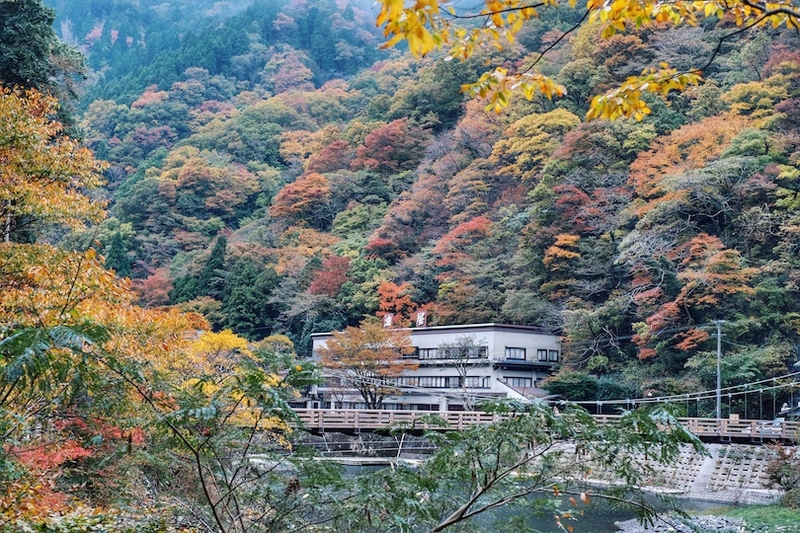 Just head over to this stunning Kimendai Observatory and this is a sightseeing spot where you can see a sea of clouds and beautiful autumn leaves. Hohoho...Here come to the last highlight of the day. The place where I love the most. 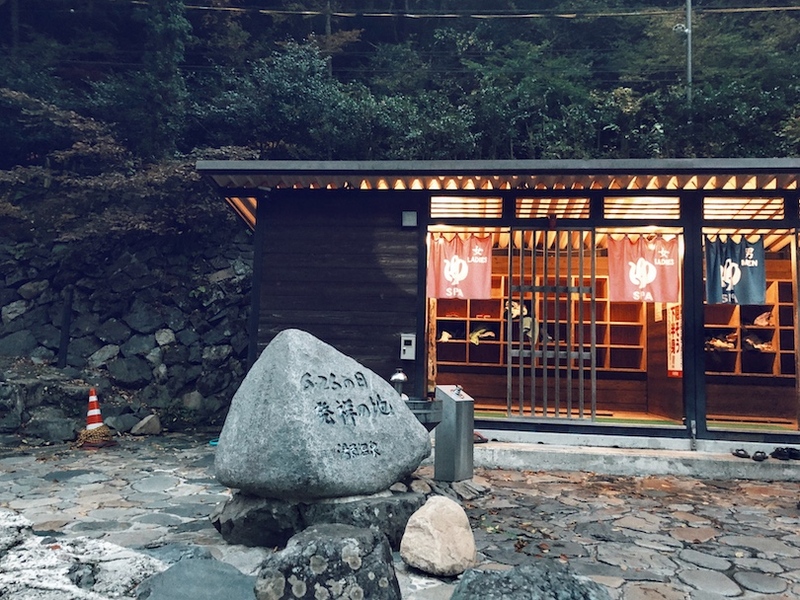 The Hot Spring 'Onsen' spot again. 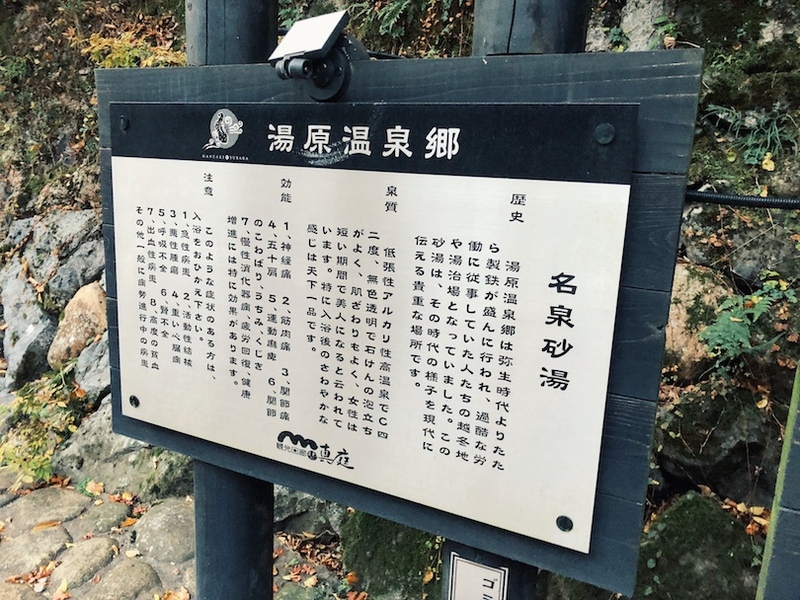 There are three famous onsen of 'Mimasaka' aka 美作三湯. 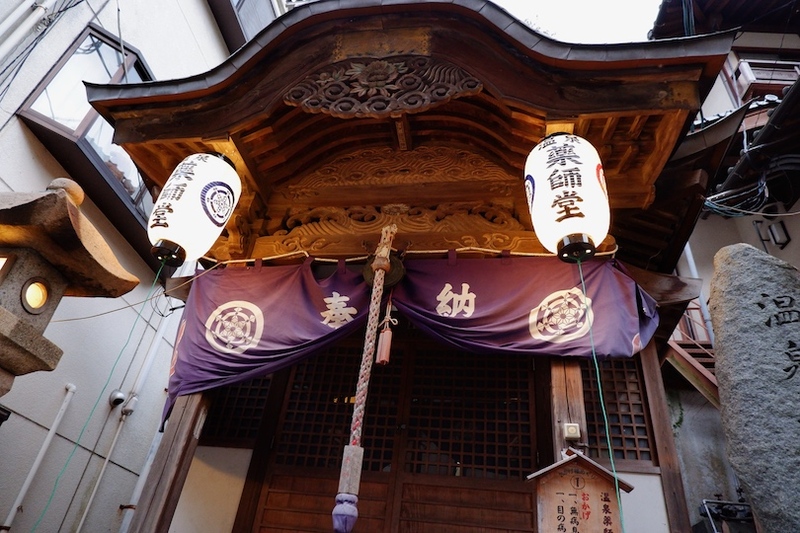 The meaning of Mimasaka uses the kanji for "beautiful" (美 Mi) and "production" (作 Masaka). It's what all the girls love the most, the beauty onsen!! It's famous of its hot springs from the ground. Which means that it's pure 100% hot springs water right away from the ground. 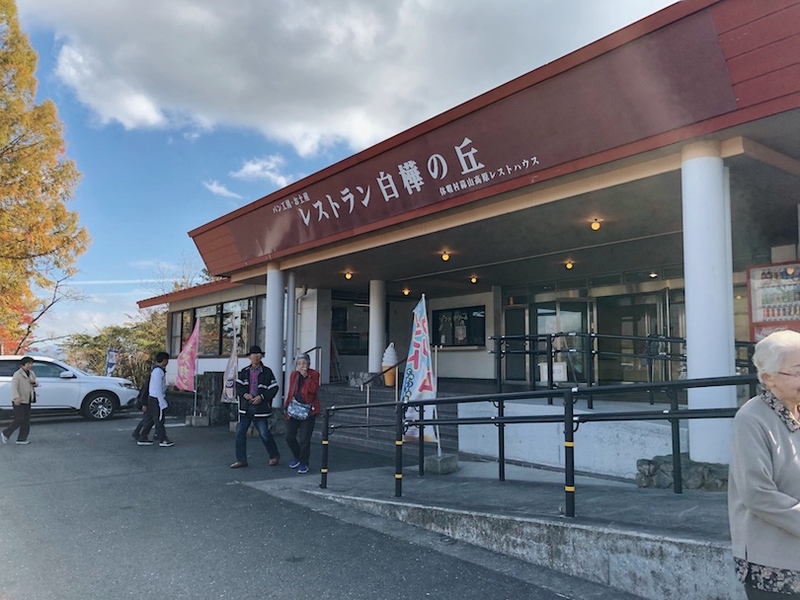 The one we will be visiting tonight is the (2) Yubara Onsen. 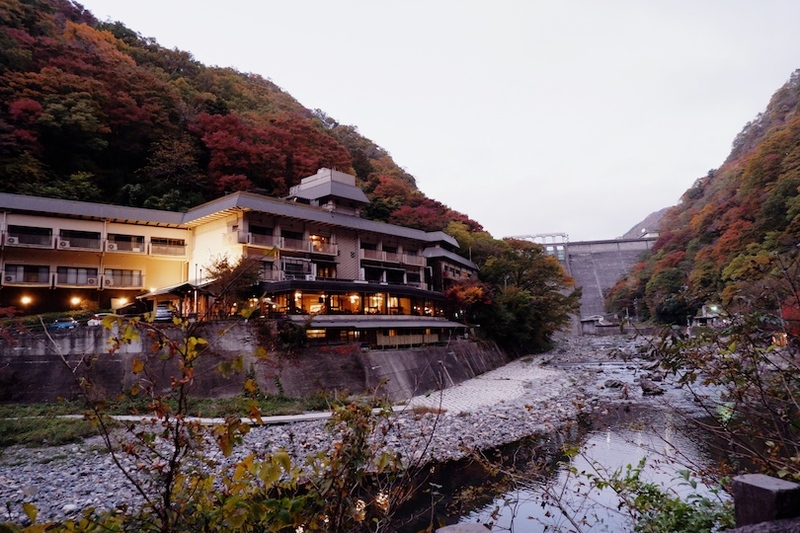 The Yubara Onsen is one of the outdoor hot spring bath which listed in the 'Western Japan Champion' ranking list. It's like the best out of the best one ever! 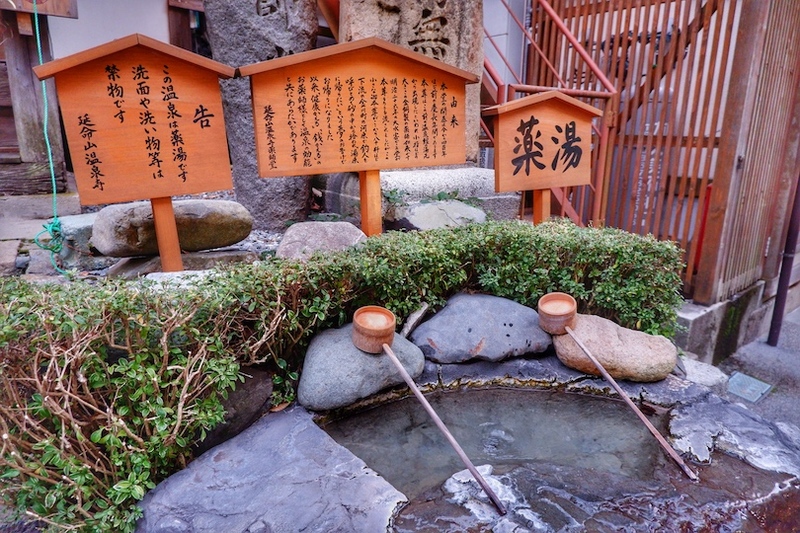 One of the highlight of all the onsen available at Yubara onsen village is that it helps to exfoliate our skin. 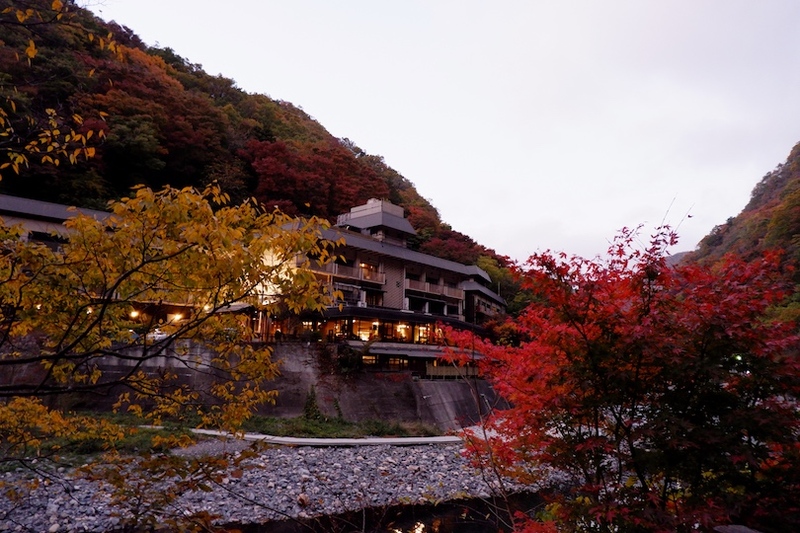 I think visiting such beautiful onsen village during autumn season is the best thing ever. 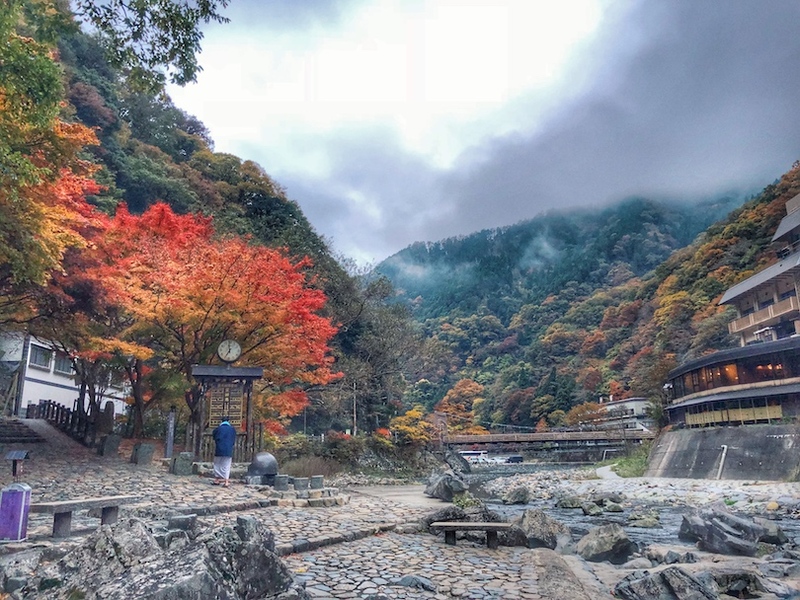 The whole village is surrounded by beautiful leaves. 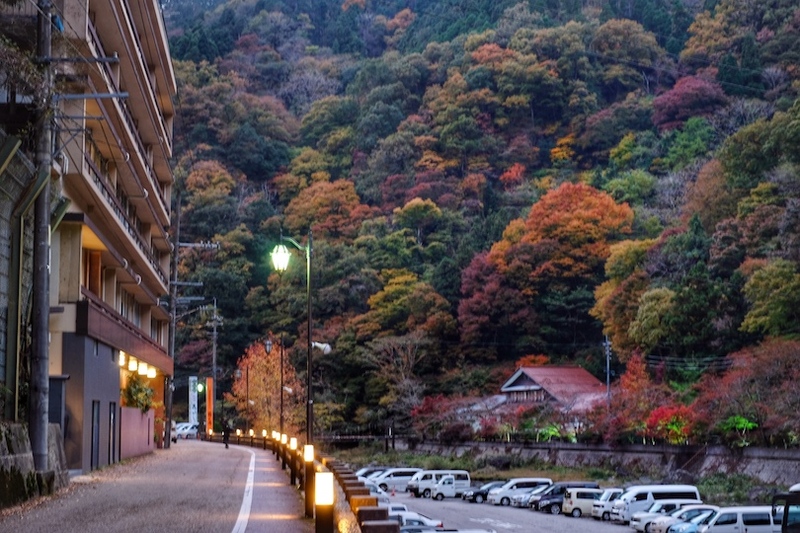 If you ask me how old is this Yubara Onsen, according to the people who told us, it's currently 1,000 years old now! 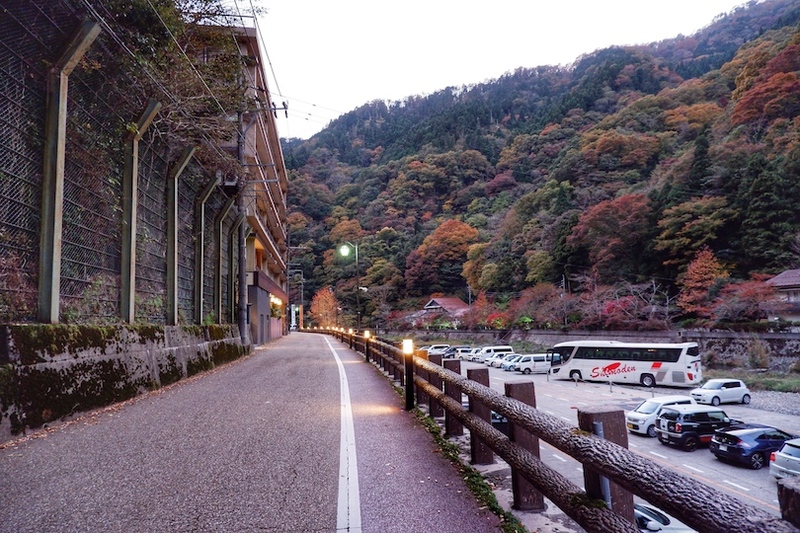 We arrive at the Yubara Onsen Village in the evening! 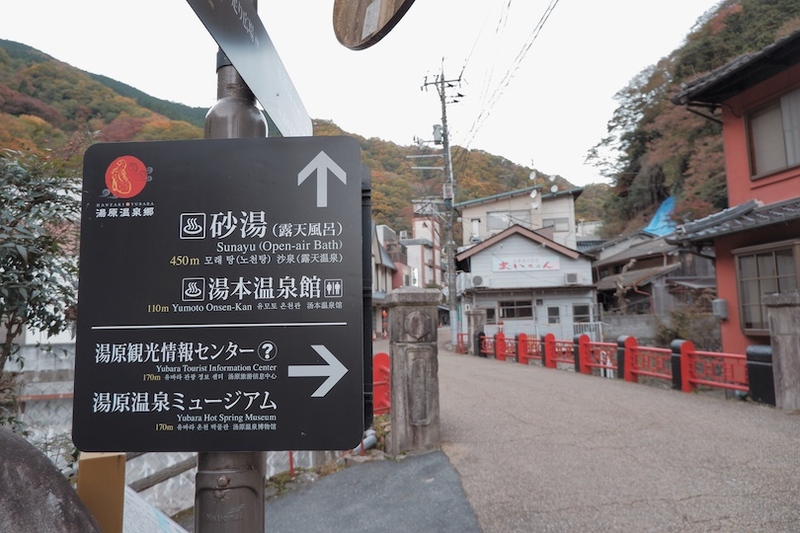 If you are here, you can also spot a foot and hand onsen area here. 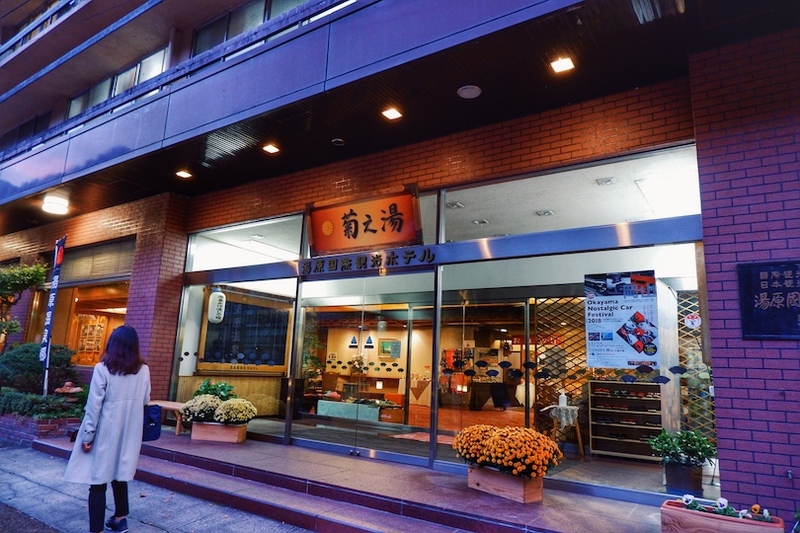 Since it's pretty cold outside, you can just enjoy your hand and foot onsen for FREE! This 藥師堂 'Yakushidou' is damn chio. They told us if you lost something, you can come here to pray for it and the next few days it will come back to you. So if you lost your bf, here's one of the solution for you! Lol!!! 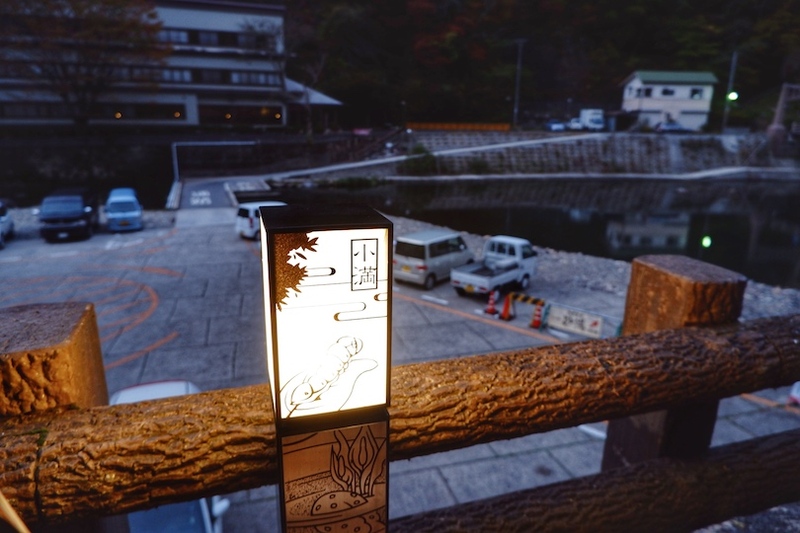 It's the god of onsen in this village. Look at all the colourful maple leaves! Sorry for the shaky photo, that's the only photo I took before the sky turn really dark here lol. Completely without any photobomb. We are the only tourist group here! I really really love such hidden gem spot! 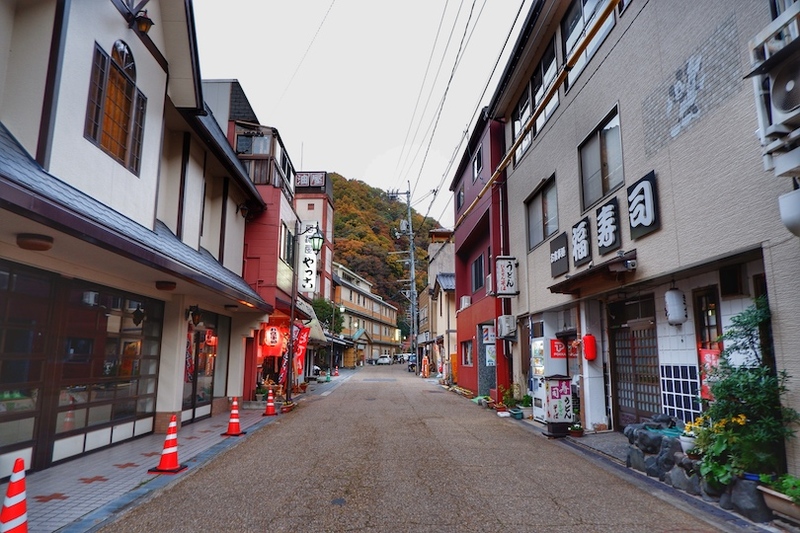 This is the photo I took on the next morning before leaving this Yubara onsen village. 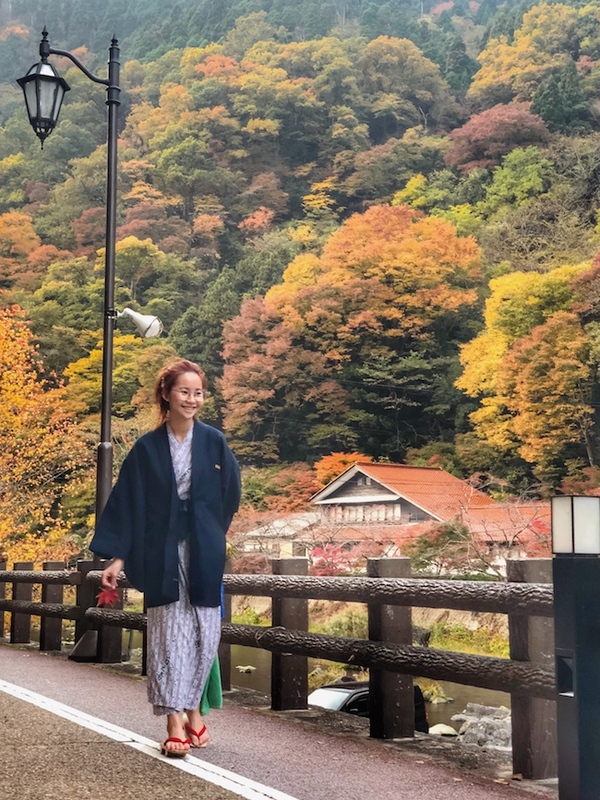 Such beautiful background T.T I miss autumn and have to wait for a year later until Japan's autumn season again. 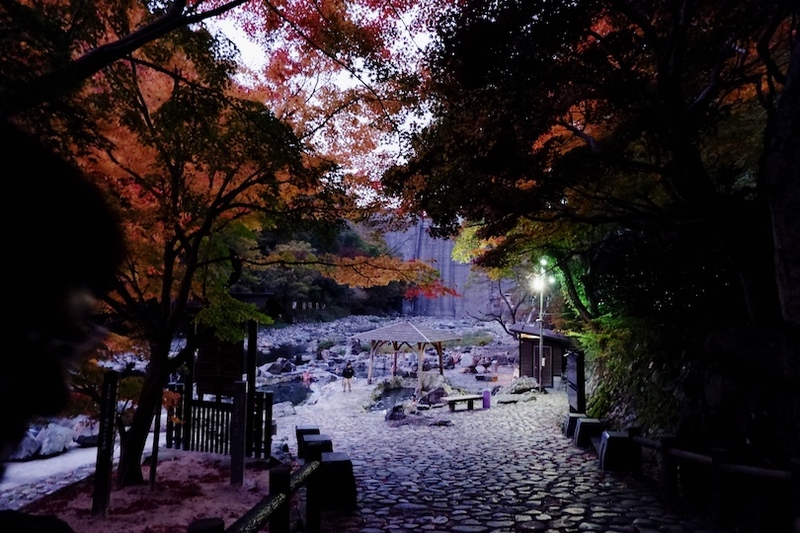 This is the open-air 24 hours public hot spring area. It's known as 'Sunayu'. 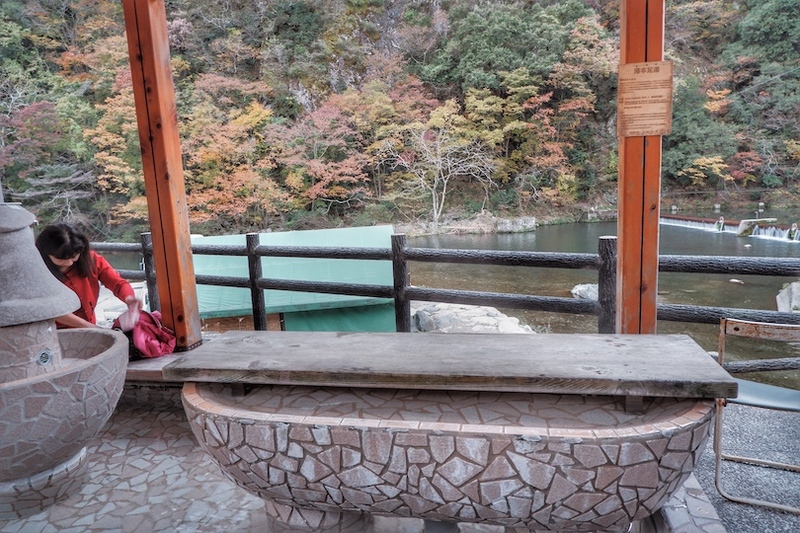 It's one of the Western Japan’s leading rotenburo (outdoor baths). 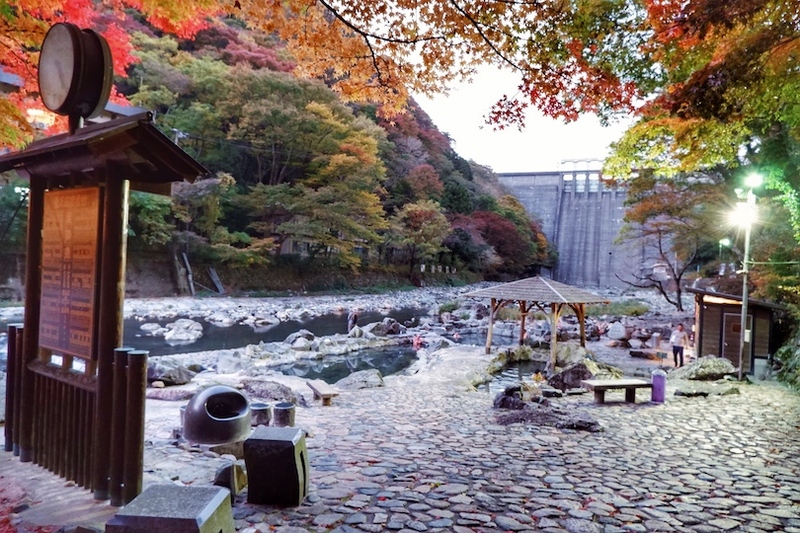 It has the backdrop of a dam and its hot-spring bath surrounded by rocks located in the riverbed of the Asahi River. 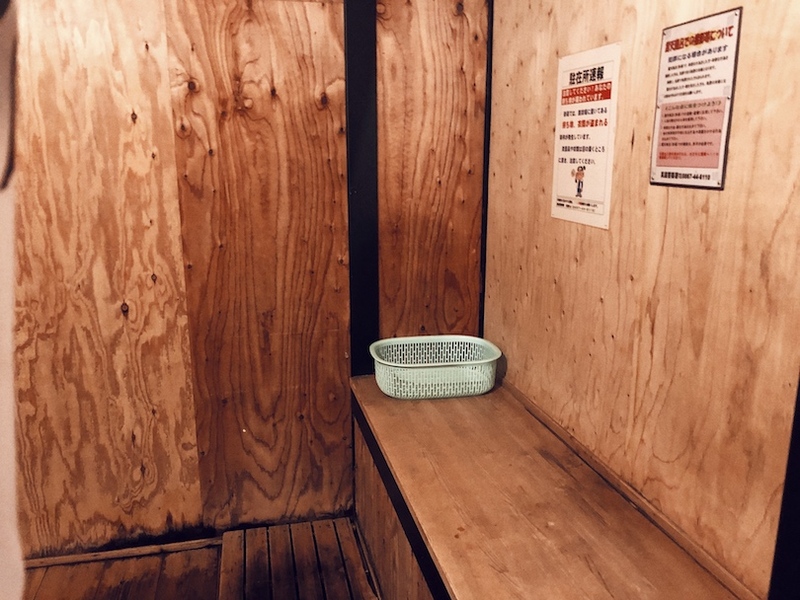 Because this bath serves both men and women, it is recommended that women wear a special dress while bathing (rentals available for a fee 500 yen). We rent on the next day from the hotel reception counter! You can always rent it from the hotel located at this village. 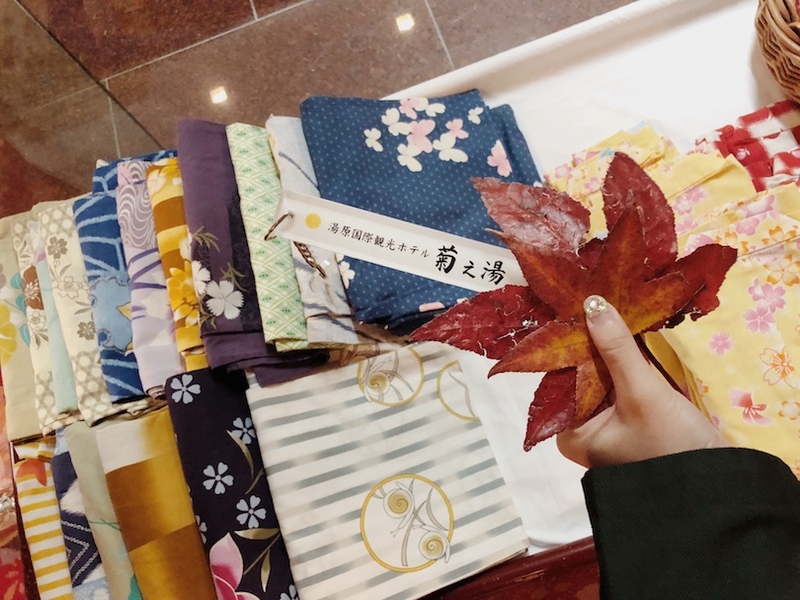 With numerous accommodations, restaurants, and souvenir shops nearby, including many ryokan and hotels that offer free lending of iroyukata, colorful yukata popular with women. 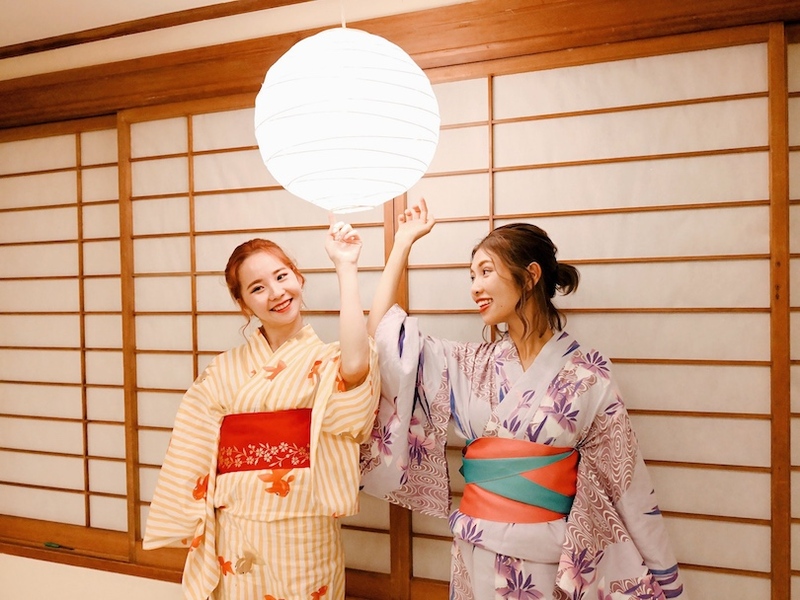 We get to rent our yukata from our hotel for FREE! Will show you guys where I stay later. It's such a waste if you come here without staying an overnight! 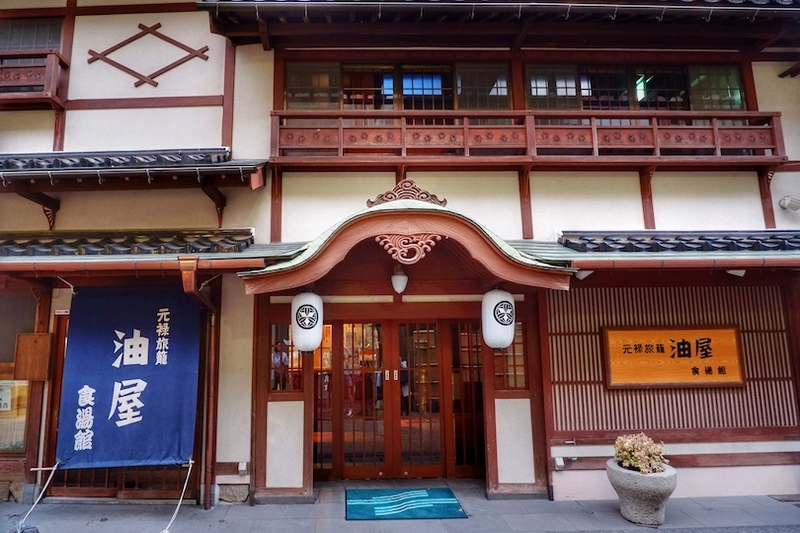 So if you are planning to visit this in Okayama, remember to stay overnight here and enjoy walking through the town. You can see there are women and man here. Yes, that's what we called it as open-air mix-gender hot spring! 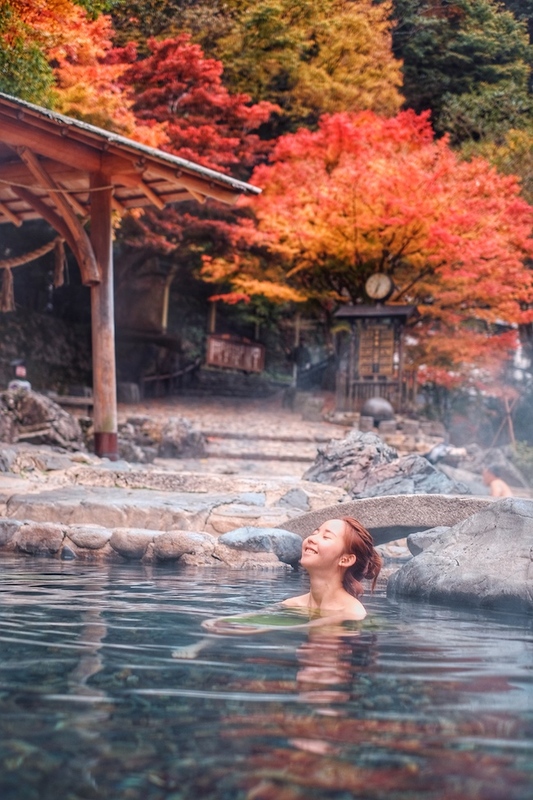 But no worries, girls get cover with a piece of colourful dress and there are few onsen separate area. Best if you could come in the early morning and soap yourself into this natural hot spring!! We stay a night at this beautiful international hotel! 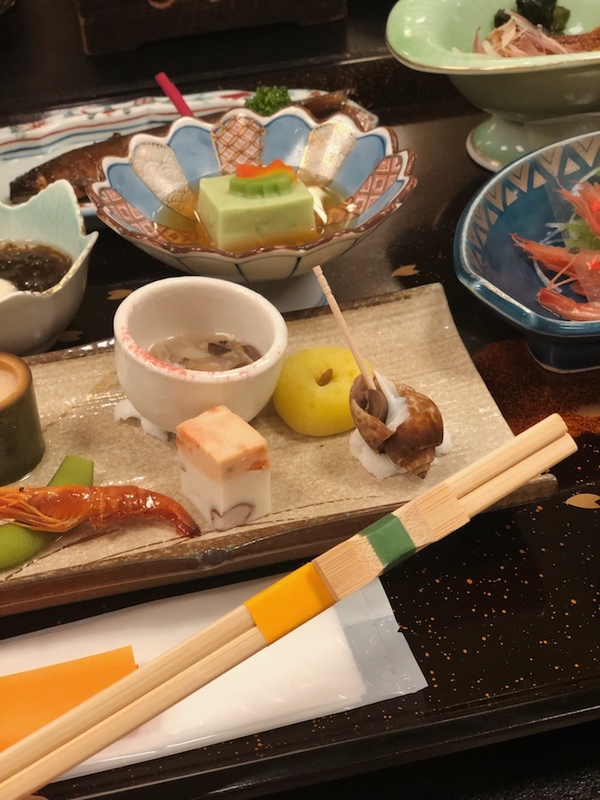 It's the Kikunoyu 菊の湯. You can click and check out their official site (click here) It's all in multi-languages. 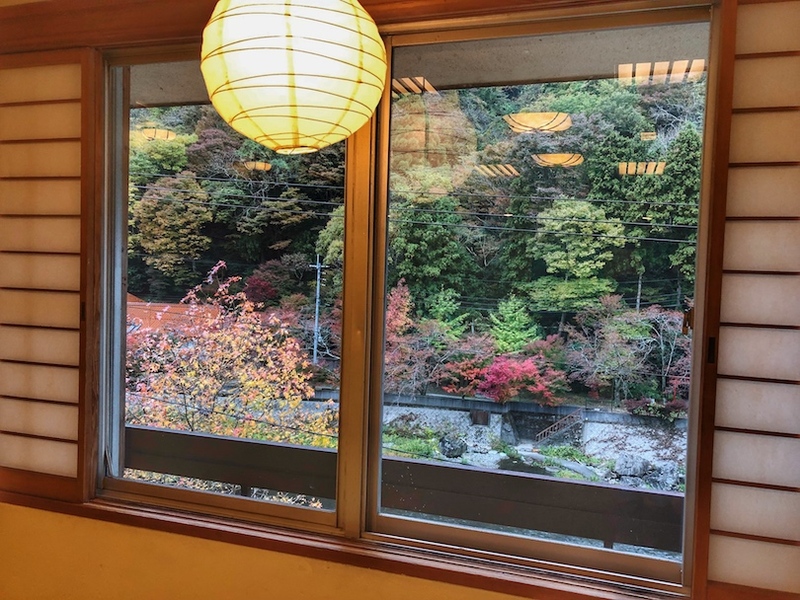 We then put all our belongings in our tatami room and enjoy our dinner here! 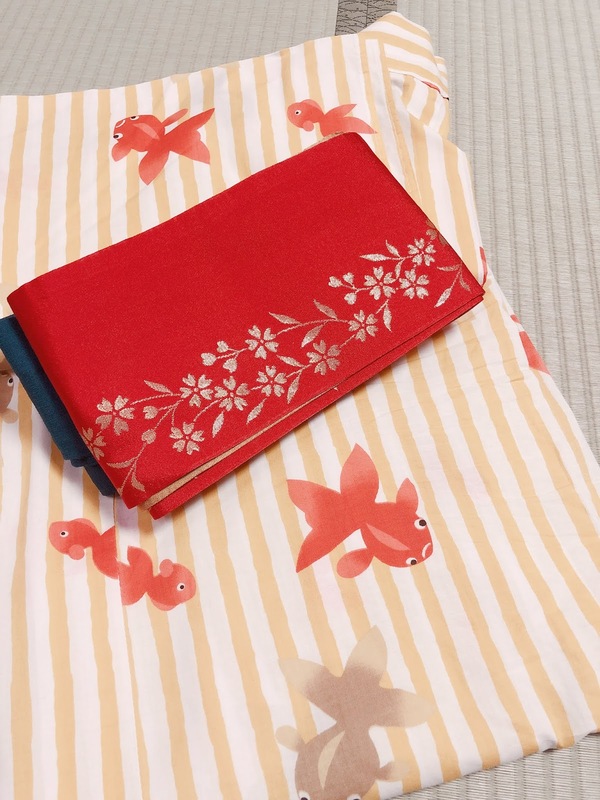 Here's the rental of the onsen dress for girls to cover your body! 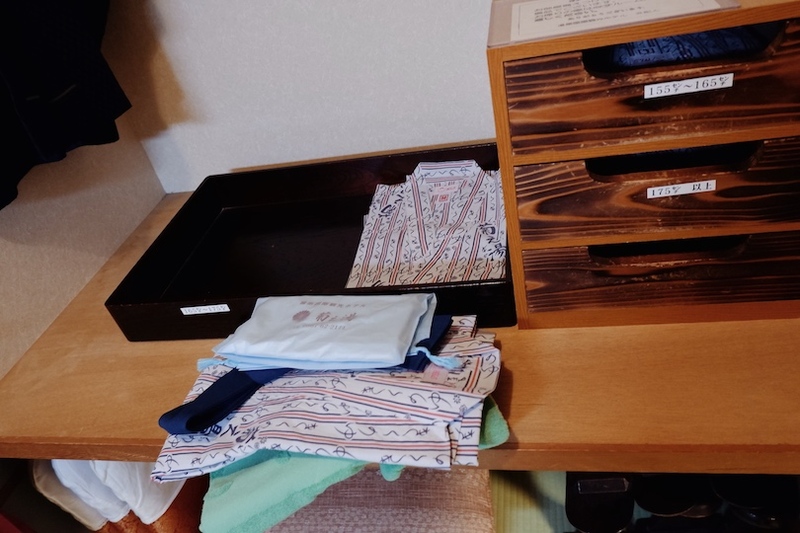 I really recommend this stay for you guys and all the onsen hotel stay here has free yukata service. 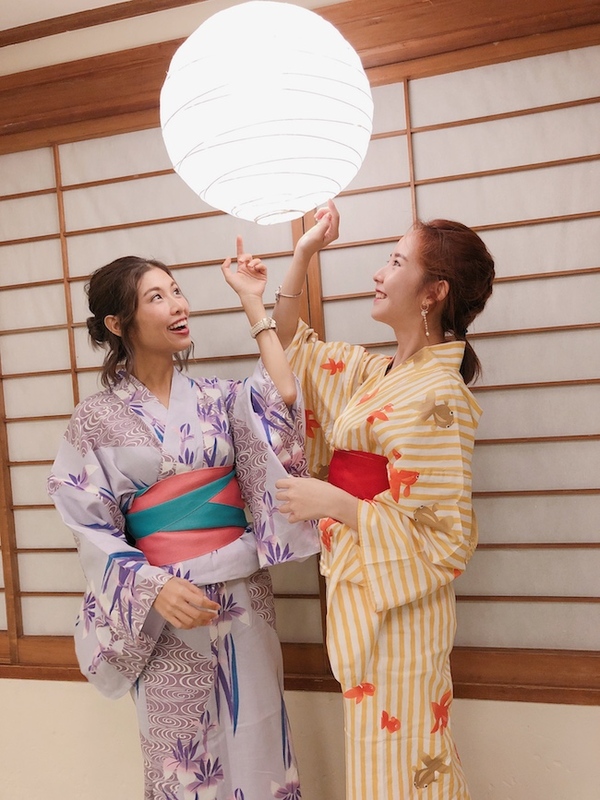 The best thing about it is all these yukata look really nice , colourful and beautiful. 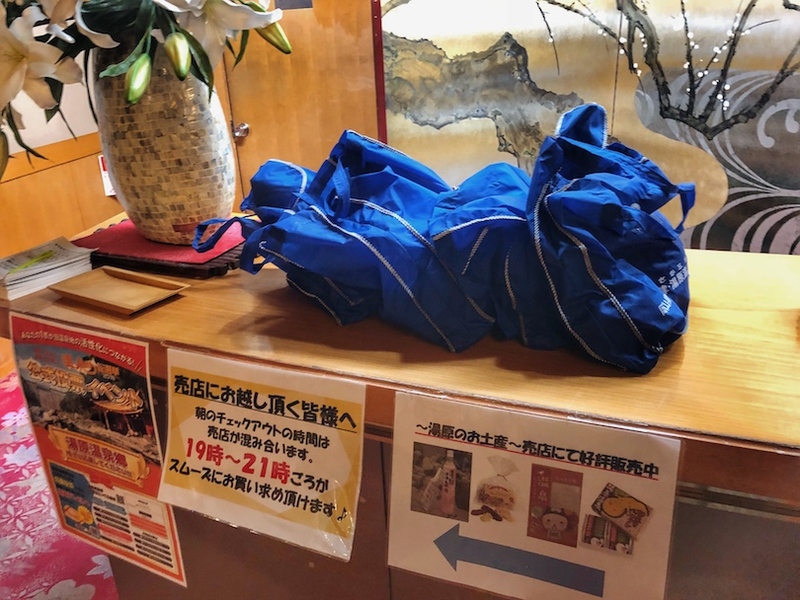 Normally if I rent something like this outside, it's more than 2500 yen but here you can get it for FREE and return it when you check out your room on the next day. 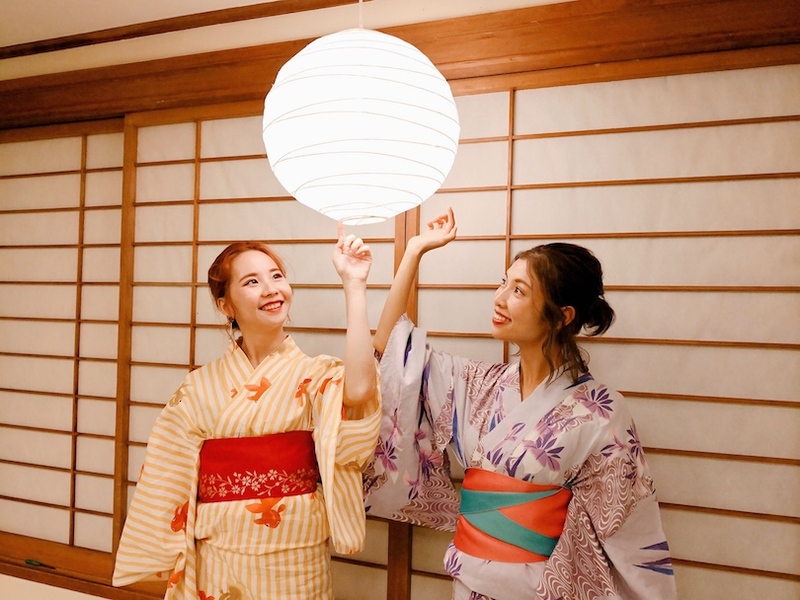 They will also arrange someone to help you to put on your yukata if you not sure how to wear it. It's also Free of charge! 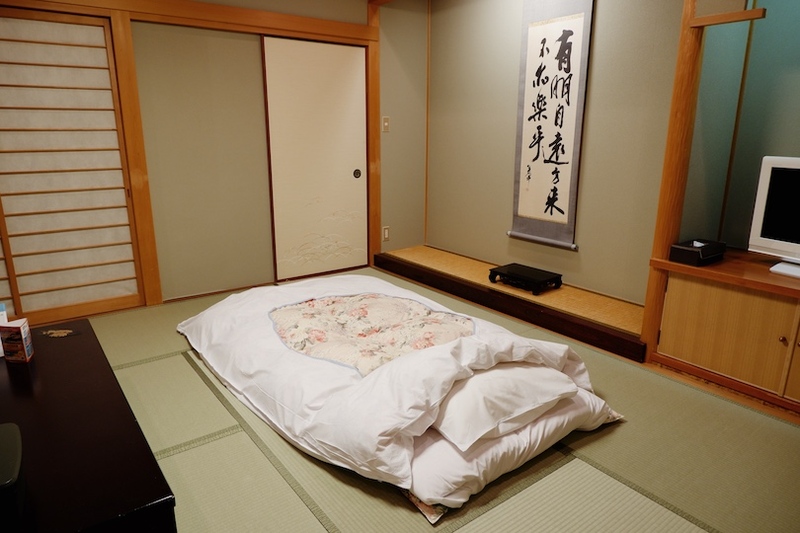 I love love love Tatami room! 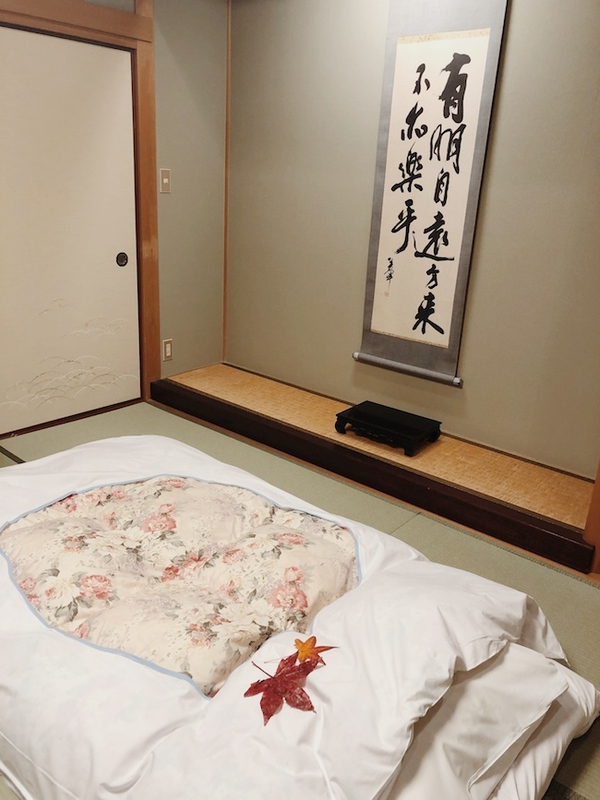 Take note if you stay at tatami or traditional ryokan room. 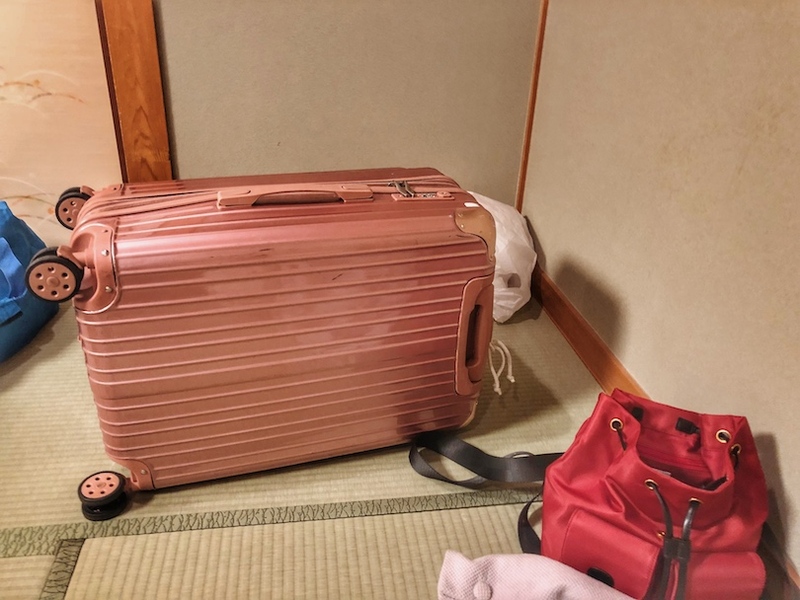 Please put and carry your luggage to the tatami area without pulling it. This is my favourite one! Gradient color maple leave. 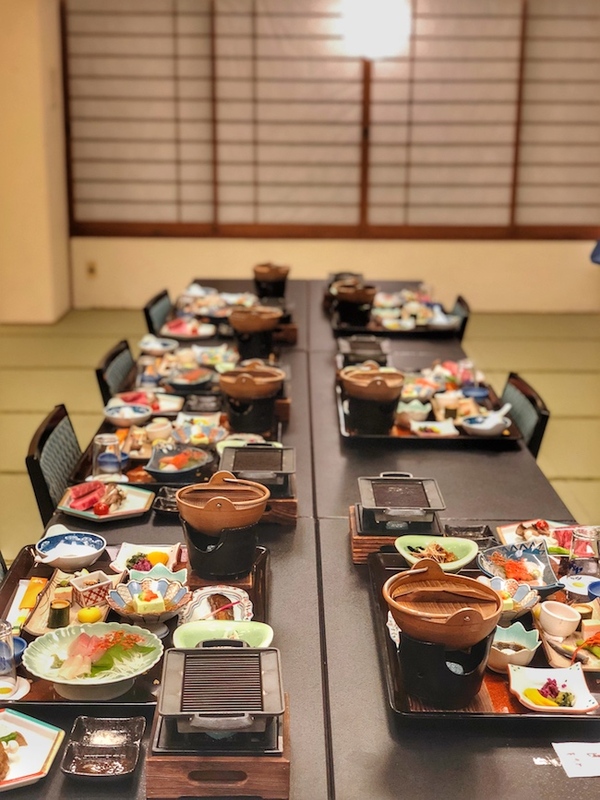 Our hotel dinner at Kaiseki style! 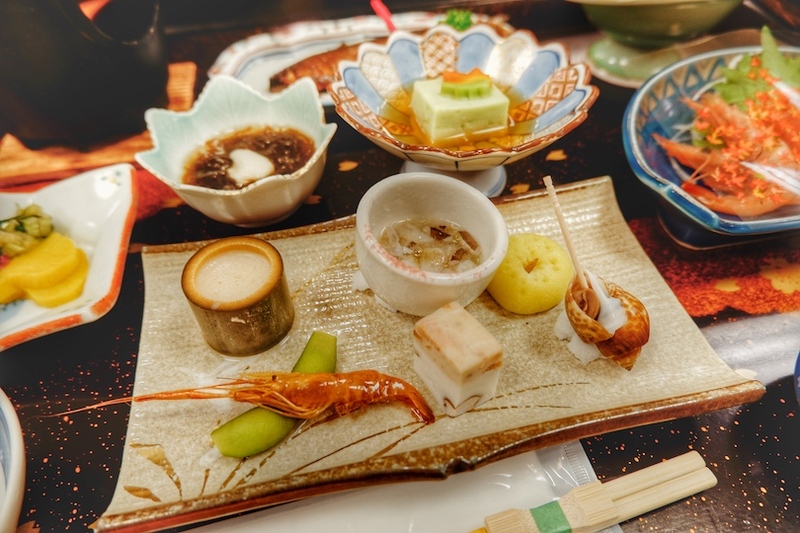 Normally Kaiseki style dinner, their rice come when it's almost end of the dinner but for me, I need my rice first. So we asked the lady to get the rice for us first. I think I'm one of the lucky girl in the world because all my friends knew that I can't live without rice, they even gave it to me. Dont waste it !! I love love love Japanese rice! Autumn theme! 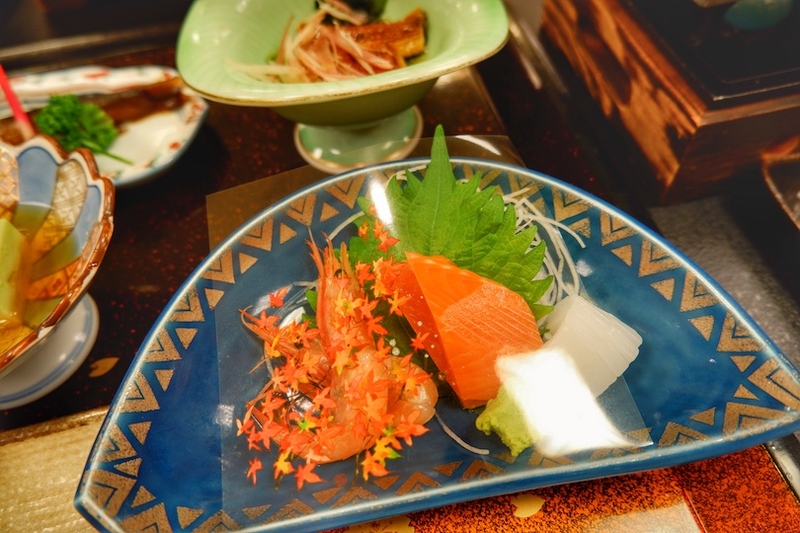 Love the presentation of our Kaiseki dinner. 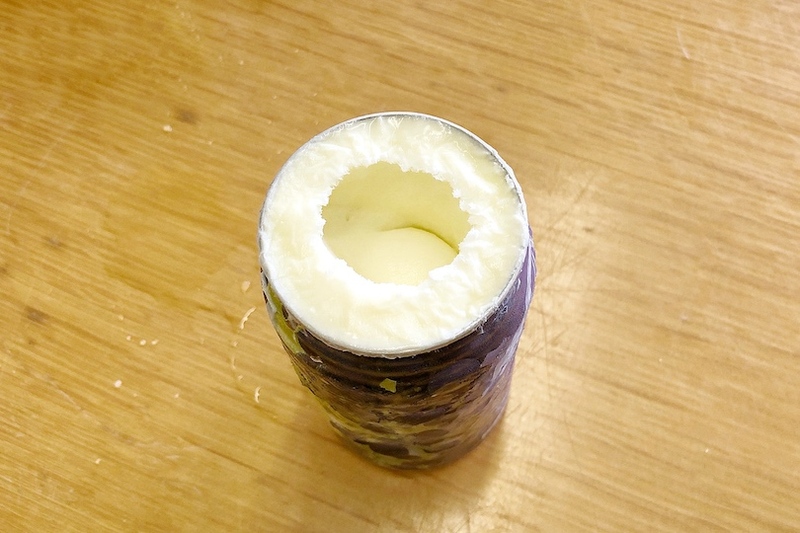 Can you guess what's this? 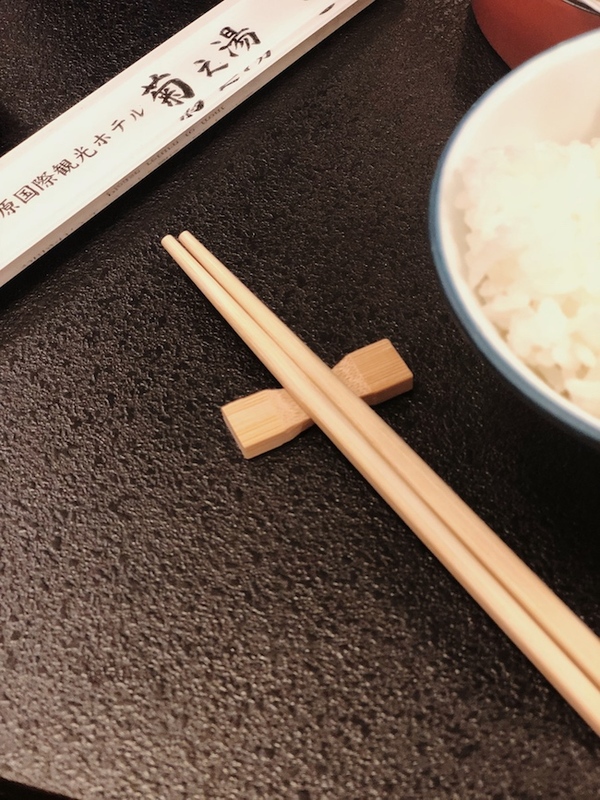 Such beautiful ribbon on our chopstick. 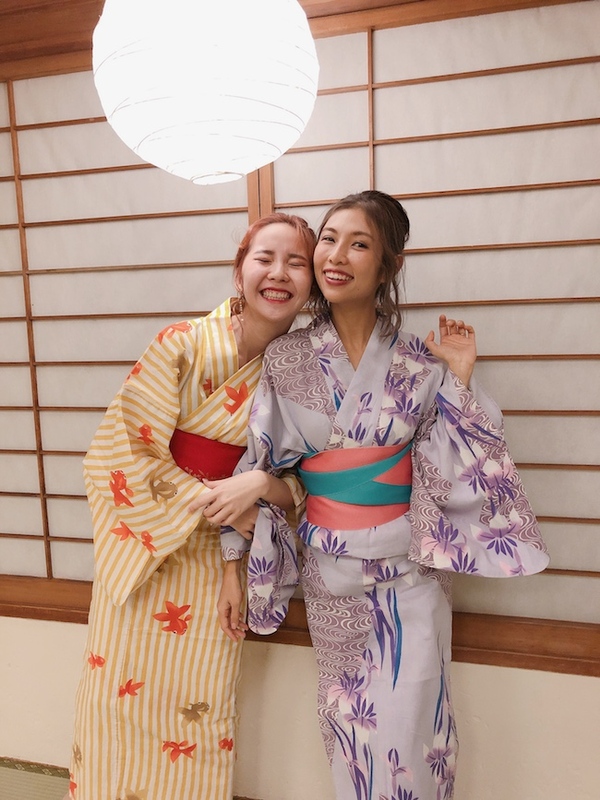 Everyone looks beautiful with colourful yukata. From the color and prints we choose, you know we all have diff preference and colors. Here's some photo we took while waiting for others. Even the restaurant itself so photogenic lol. I remember the last meeting with Cheesie is like a year ago and finally we get to meet each other during this trip. It's my second Japan trip with her. The first trip together is during out Ehime, Setouchi Trip few years ago. This trip is really a nice bonding trip with her and other friends. 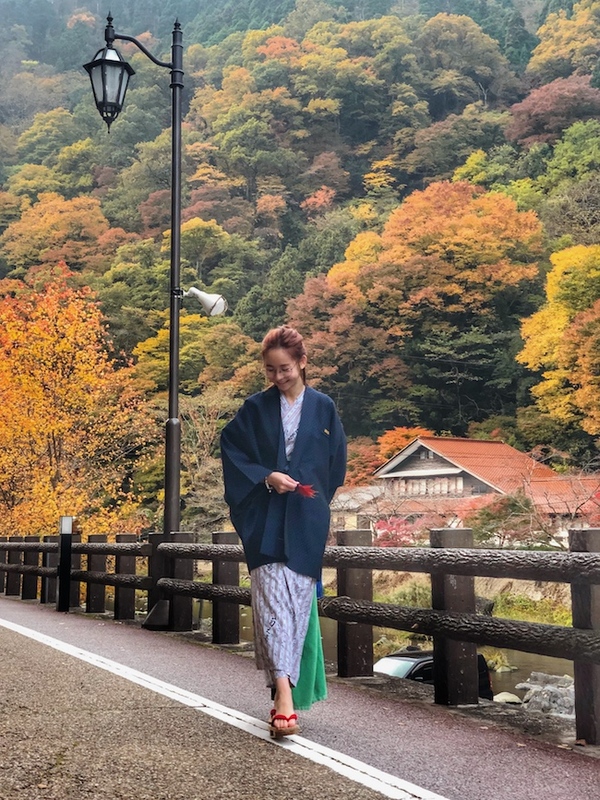 It's always fun to travel with her because both of us really really love Japan. I remember I was one of her reader back then and now, she's my friend. 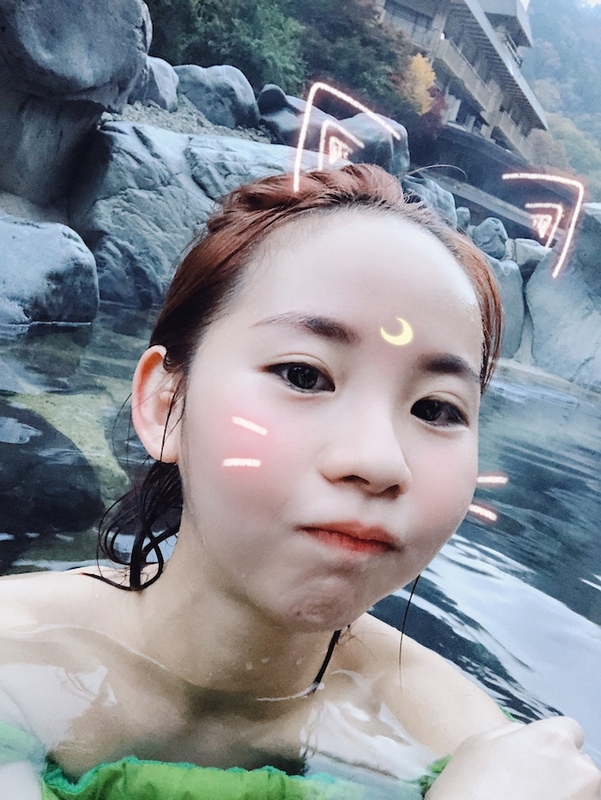 We naked and onsen together, laughing and playing around during our trip together. I really appreciate such relationship with the person I like. OMG 我不是在告白！There are always one kind of friendship that doesn't require to meet each other everyday but we always know we have each others to talk with and whenever I met her during my trip, I was like omg! JUST GO! In our room, you can get to see few onsen yukata available there. You can wear that to the hot spring available in the hotel room. It's more plain and normally the design related to the hotel. So yes, I'm changing this and enjoy my second onsen of this trip!! Beauty onsen yoooo~ Then I should sleep early and the next day I'm going to the Sunayu. If you are really shy you can go to the one located in your hotel. But it's you are so into onsen like me, also want to experience something really really diff, then give this a trip. I think it's completely blow my mind with this kind of experience. 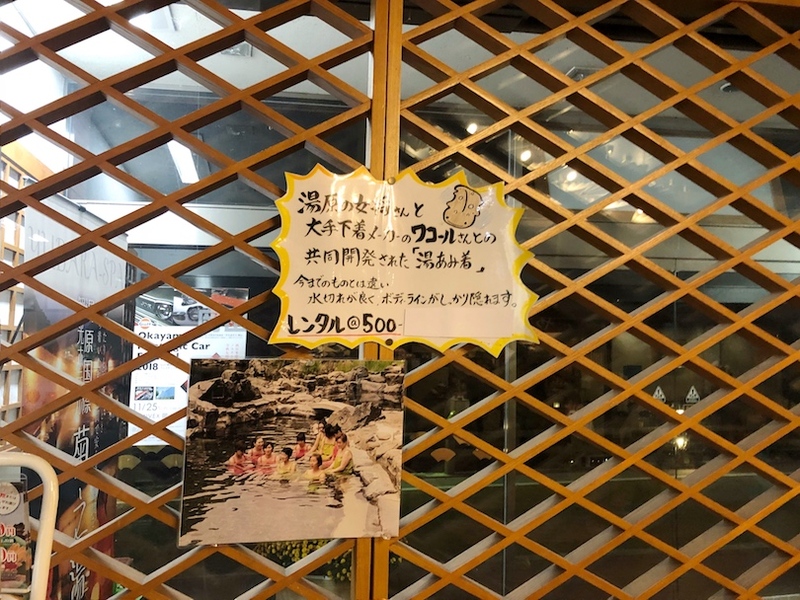 I can't imagine back then if everyone is naked on this mix-gender onsen lol. But no worries, for guys they need to cover their 'precious part' with a towel when walking, for girls you can cover it with the dress you rent from your hotel. Yes, I'm here! Challenge accepted! This is the changing room. Photo credits to Cheesie's phone! I'm feeling quite empty because the feeling without wearing anything inside but cover with this dress is quite weird. But after soap into the hot spring water, I feel much better because the weather is freaking cold in the morning. 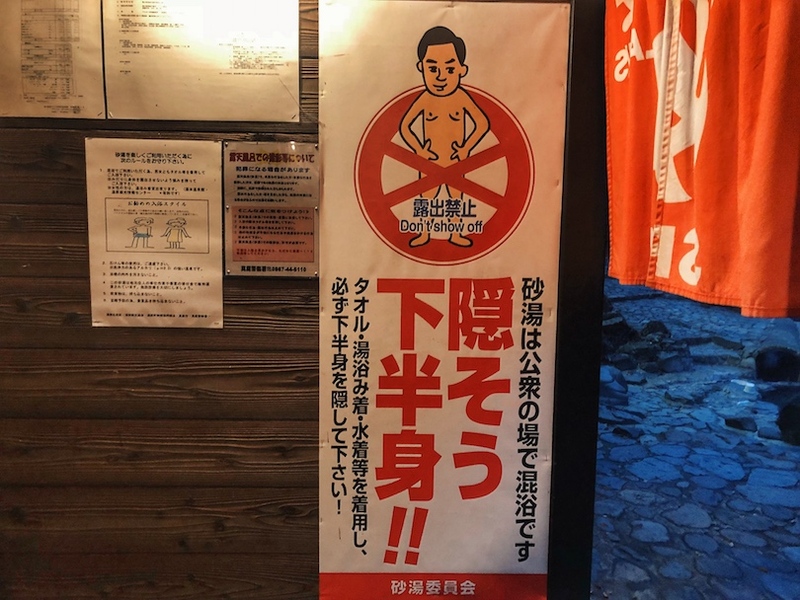 You better just soap your whole body into the onsen. 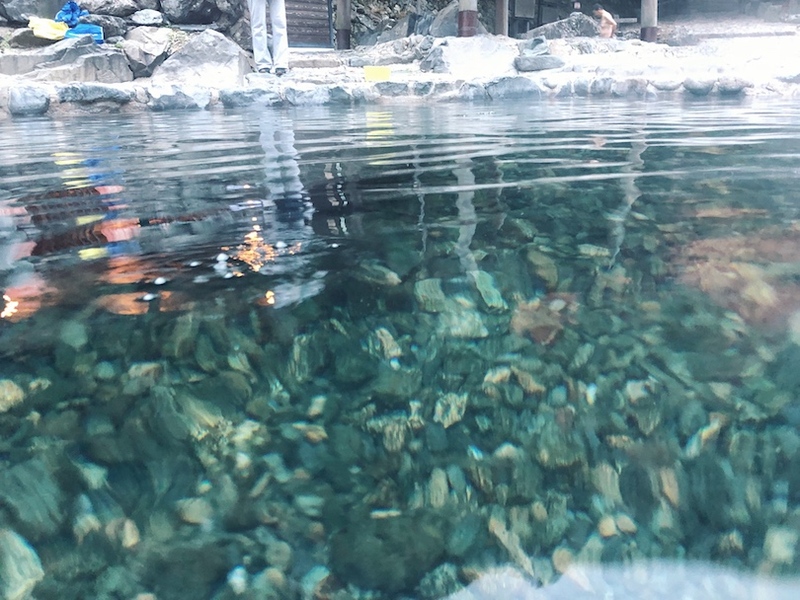 Hot springs from the ground. You can see all the bubbles came out from the ground. I love taking photo with friends as well! I'm the art director and Arisa is the photographer. 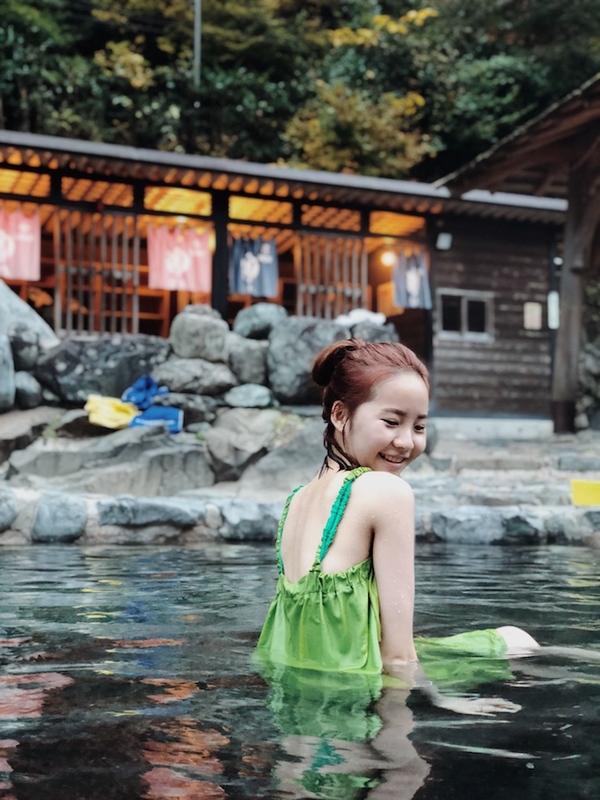 She's advice not to soap into the hot spring so she's the BTS photographer for us. Reiko and I wearing the green one and Cheesie was really lucky because she got the pink one! More photo taken by our camera. Look at my skin, it blush naturally lol. Also the maple leaves behind us! OMG!!! I think only this crazy group of us will sacrifice our beauty sleep and wakeup at 5.30am just for this onsen experience! Hello aunty! HAHAHA It's me lol We came at 6am and soap ourself into the hot spring for 30 mins and leaving at 7am. You can see the time from the clock behind me. The rest of the time use for changing clothes and taking photo lol. So beautiful in the morning! ☺️☺️☺️☺️ Really wish to come back again with Smelly one day! The Sunayu is just few mins walk from our hotel. 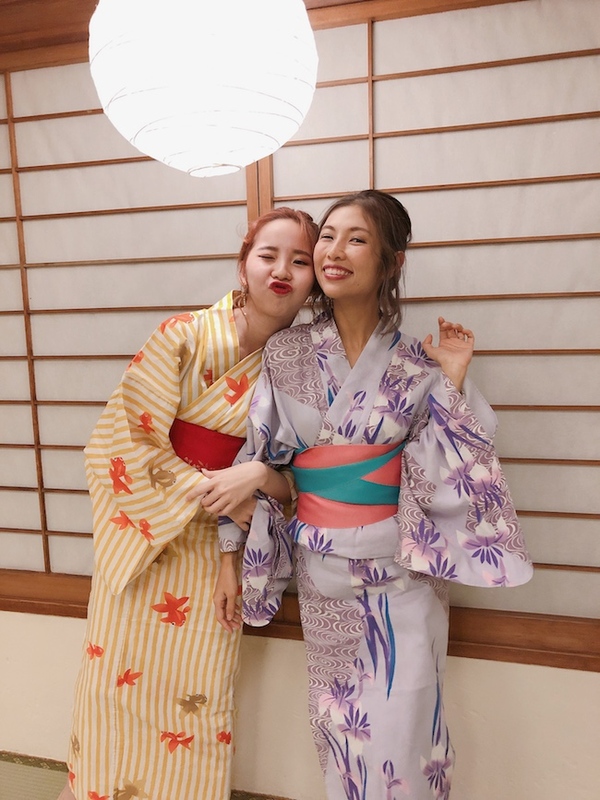 So after changing back to our yukata, we return the colourful dress at the counter. Just place above here and put everything inside the waterproof blue bag. 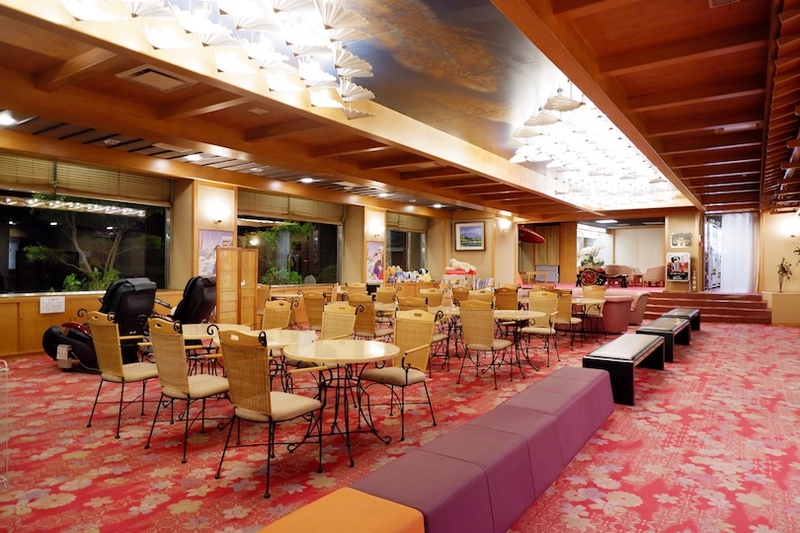 Next, we go back to the restaurant area in our hotel stay and enjoy our breakfast! 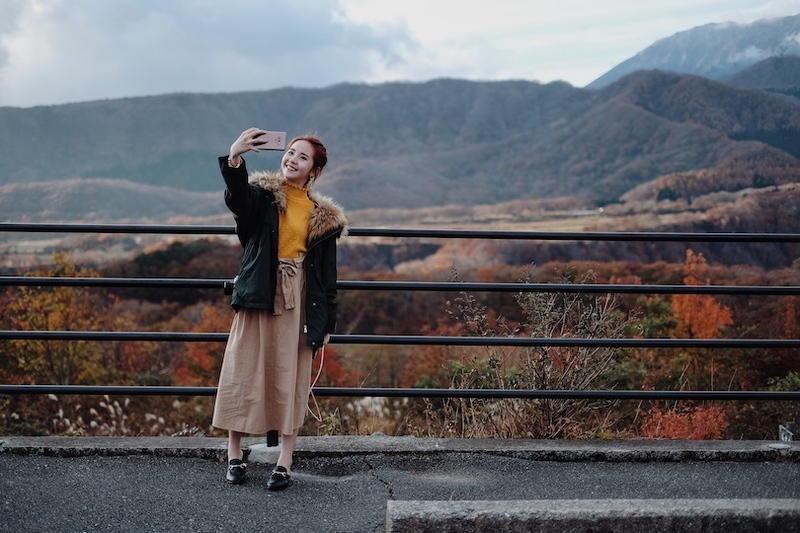 So yes, that's all about my journey in Okayama and the rest of the day we explore around in Tottori Prefecture. From Okayama it takes around 2 hours to Tottori. 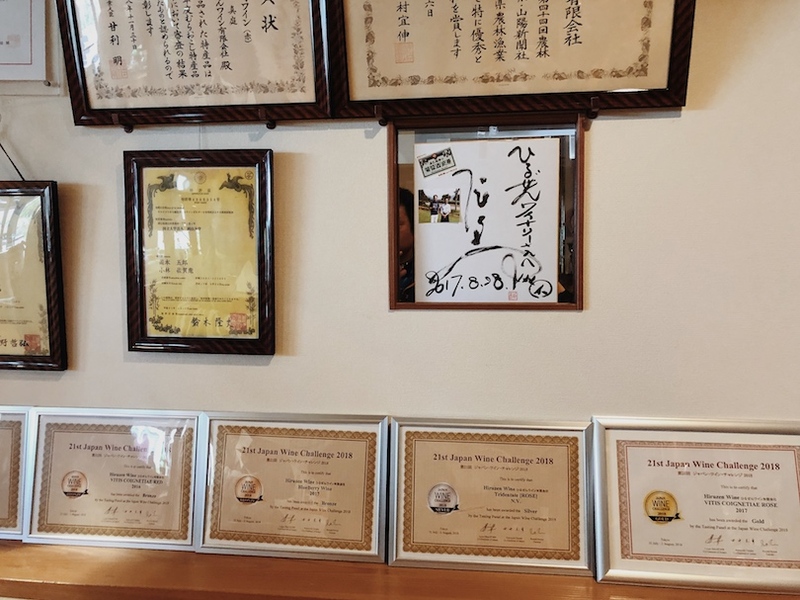 Next post I will be visiting the Conan 柯南 manga town, Mizuki Shigeru street and stay a night at the beach view grand hotel in Tottori! That's all for today and hope you love my sharing! See you on my next post. Nvm, can save money again and when it's all good and the right timer, I believe you will be there one day <3 Very soon!